Do you find it hard to come to a place where you can admit that you need a break? We are finding ourselves in a season of change and growth, both professionally and personally and our deepest desire is to always be sure that we are staying true to who we are and how God has gifted us. We’ve realized that we need to let something go. 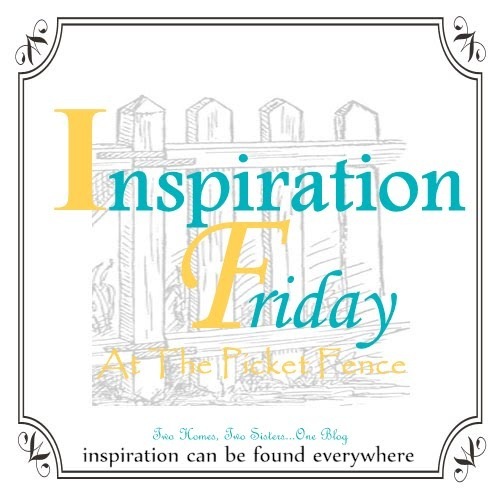 Our Inspiration Friday Party is not something we just throw together each week. We spend hours pouring over the incredible projects, ideas, recipes and inspiring stories that are shared. We carefully choose features that we think you might enjoy and be inspired by. But, those hours are starting to take a toll. And, we don’t feel that we, in good faith, could throw a party that was anything less than our best! So, after much discussion we’ve decided to let Inspiration Friday go on a bit of a hiatus. It’s permanent fate is still to be decided. Maybe we could just think of it as not saying good-bye to Inspiration Friday but more of a “till next time”! From the bottom of our hearts we thank you for coming over each week to share your lives with us. We never felt anything but amazed and humbled that you would take the time to join us! Let’s think of it this way…now there might be a couple of more days a week that you will get some more inspiration and ideas from us! Thank you for being supportive and understanding as we shift gears a bit in the New Year! Welcome to the post-Christmas Inspiration Friday! We pray that each of you had a joyous Christmas with family and friends. Some of you may be back to work already, or maybe you are still in the middle of celebrating still and maybe a few of you are taking a well deserved vacation and a nap on the couch. Whatever you are doing, we are honored you took a moment to stop by and see us today! We both had a wonderful Christmas celebrating or Savior’s birth with our families! Now, we’re thinking ahead to the new year and the many projects, crafts, recipes and inspiration we hope to share with you here on our blog! 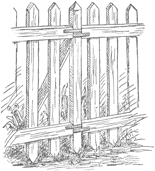 Speaking of blogging….we want to welcome our newest sponsor of At The Picket Fence. 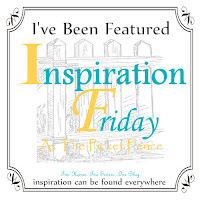 Today’s features are from Inspiration Friday No. 93, last week we featured some amazing Christmas Inspiration, today we are featuring some other amazing projects! Enjoy! Jeanette from Creating a Life showed us her lovely master bedroom all warmed up with red accents for winter. 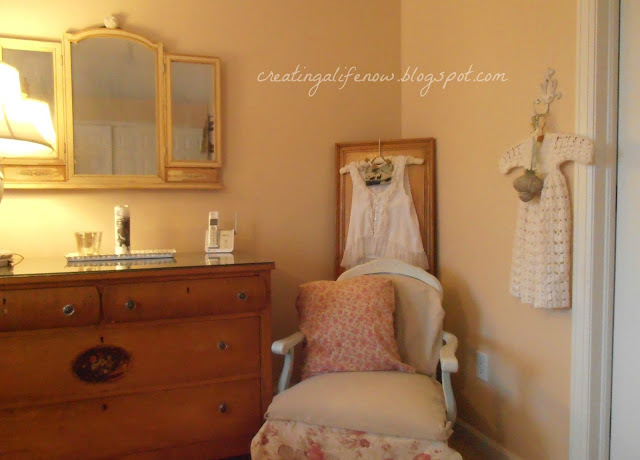 Pamela of From My Front Porch to Yours shared her beautiful Powder Room Makeover. 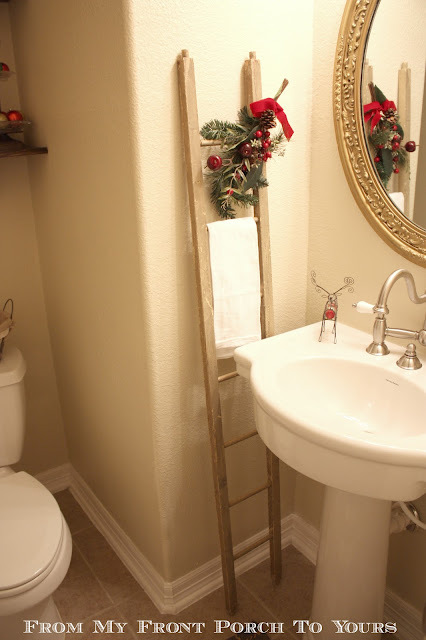 We love the ladder as a towel rack! Amy of Grown from Scratch has us looking forward to warmer days as she shares her updated Front Porch. The grouping of white rockers is just so welcoming! Christine from The Crafty Woman shared her incredible kitchen makeover and we just love how light and bright it is and also those beautiful pops of blue! 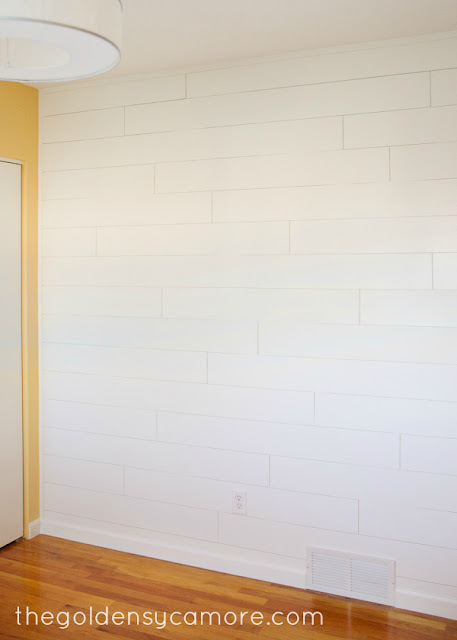 Allison of The Golden Sycamore and her husband created this Wood Plank Wall for their nursery makeover. They share great step by step instructions. We adore Becky of From Generation to Generation‘s Quilted Bench Makeover made from a vintage quilt and her great story about these lovely family plates. 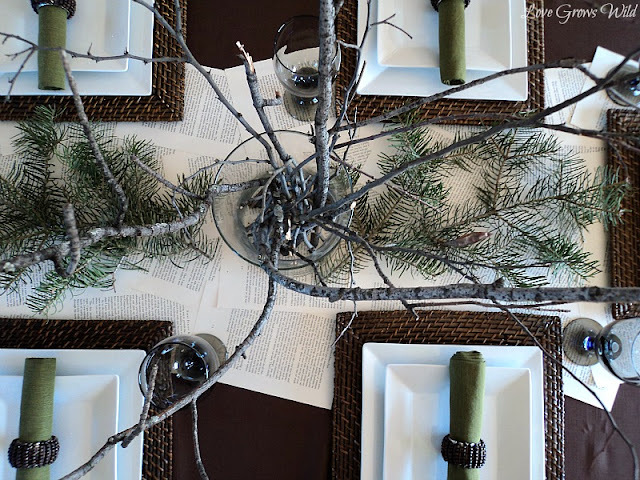 Liz from Love Grows Wild showed us how to make this fantastic Book Page Table Runner and even though she used it as part of her beautiful Holiday decor, we could see this working all year round! 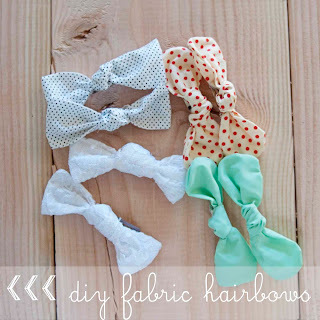 Carissa from Carissa Miss shared a wonderfully simple tutorial for making these adorable fabric bows. Her little model was pretty darling too! Carolyn from Homework shared these gorgeous Cameo Candles which were lovely for the holidays but could also be incorporated into every season simply by using different colored ribbon. Daniela from Frugal Ain’t Cheap shared a wonderful recipe for homemade Panettone and we think this just screams warm and cozy. These adorable “Hoot Chocolate Spoons” from Tales of a Trophy Wife might have been intended to be a sweet Christmas treat but we think that they would be welcomed by kids (or the kid at heart!) any time of the year! Kick of a healthy new year with this Winter Berry Antioxidant Berry Smoothie from Kristin of Homespun with Love . 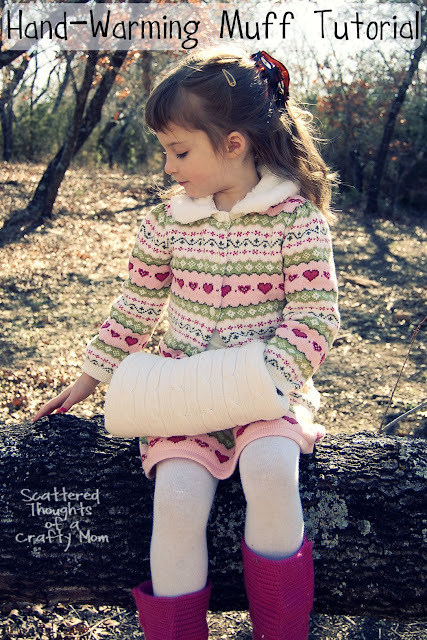 We continue to be inspired by our friend Anne, of Fiona and Twig! She has been busy shooting amazing photographs and magazine features and living out her passion. You MUST visit her to see this latest shoot. If you were featured today (or have been featured in the past) please grab the “featured at” button code located on our Buttons Page found under our header! We have a SPECIAL REQUEST of you, if you visit INSPIRATION FRIDAY and like to PIN the great projects you see here! Please pin from the ORIGINAL SOURCE and not our blog. Thank you! 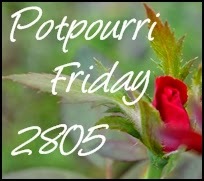 Don’t forget to follow us on Pinterest where we also pin each week’s Inspiration Friday Features. Thank you to everyone who shared so many fabulous posts with us last week! We appreciate you! Now it’s time to share with us what has inspired you this week! 1.Link Up any post you’ve written that has Inspired You and will Inspire Others-it can be a home improvement project, craft, recipe, story, devotional…if it inspires link it up! 4.Visit another guest. Please try and visit at least the link directly above and below you! We try to visit as many posts as we can but as Inspiration Friday grows sometimes we miss some and for that we apologize. It makes us feel good knowing others are visiting people as well! Wow! Hard to believe we are already 6 days into December! It seems Christmas has moved into full gear at our homes and yours! We’ve been busy here At The Picket Fence and we know y’all have been busy as well. 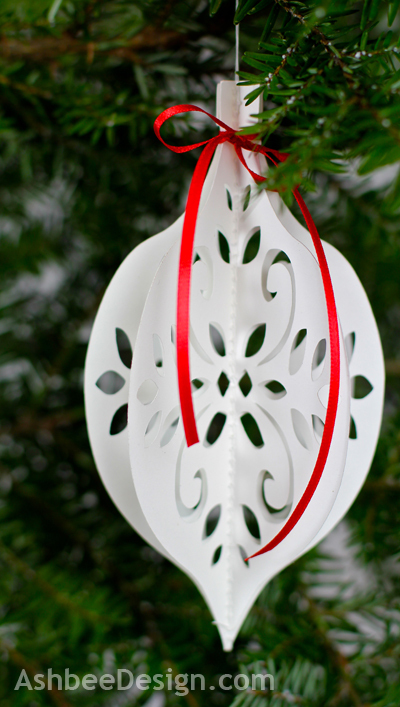 Decorating, and Decking and Baking and Jingling and Tinseling….it’s an exciting time of year to be a blogger! Here are just a few things we have going on around the fence this week! 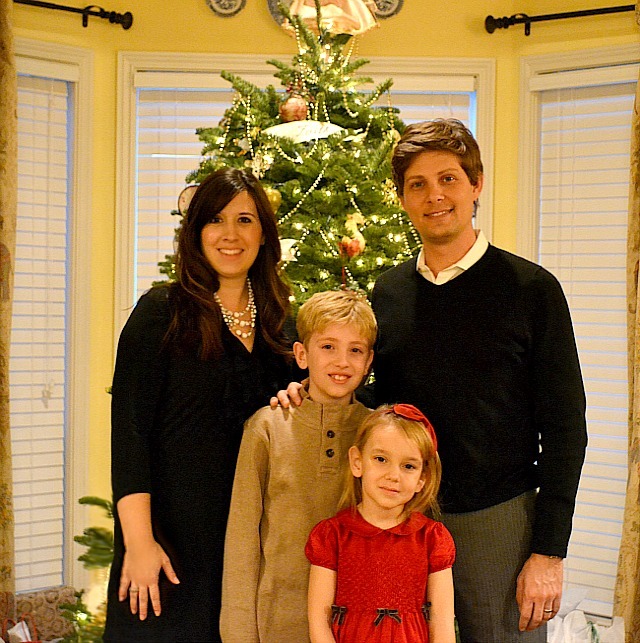 Up first we shared our Holiday Homes on the Virtual Holiday House Walk Tour hosted by the lovely Jennifer Rizzo. 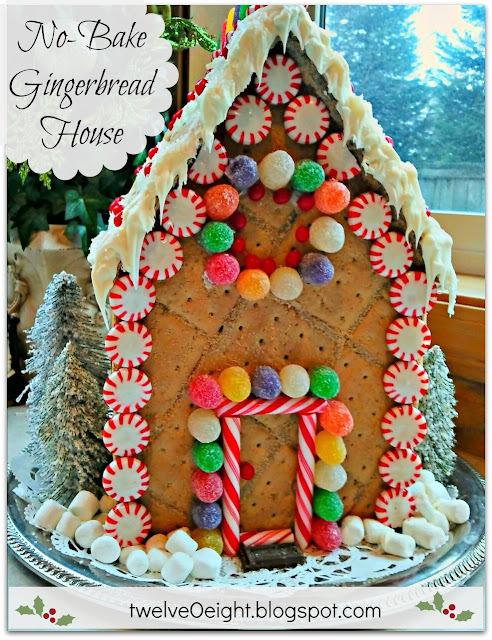 21 gorgeous homes in their full holiday regalia! You can visit our homes here or start at the beginning of the tour by visiting Jennifer’s blog. Next, Vanessa is sharing a very precious and special letter to some special women. You can read more about this over at The Greatest Gift. She is also over at the FOLK Magazine Blog today where she is sharing how to make DIY Vanilla Extract. and…last, but not least, there is still plenty of time to enter this gorgeous giveaway we are hosting for LaRae Boutique. Laura is giving away a $50.00 credit for the pillow of your choice. Go here to enter! Now onto those fabulous features we are fortunate enough to showcase each week! Laura from Top This Top That shared a tour of her gorgeous keeping room with us. 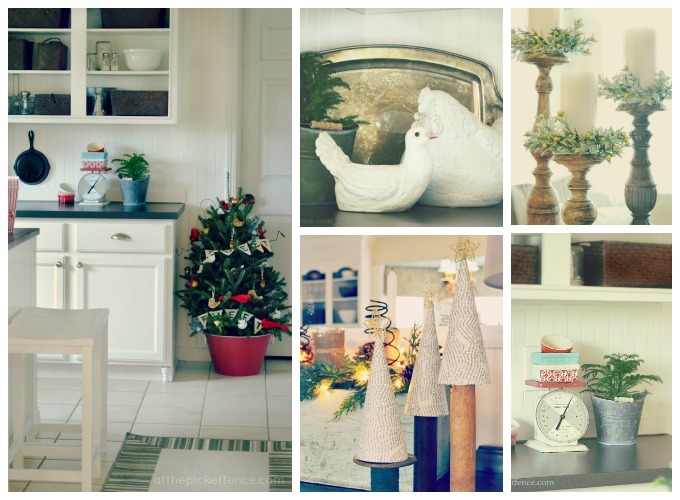 Kathy, of Kate’s Place, shared her cozy Christmas kitchen. 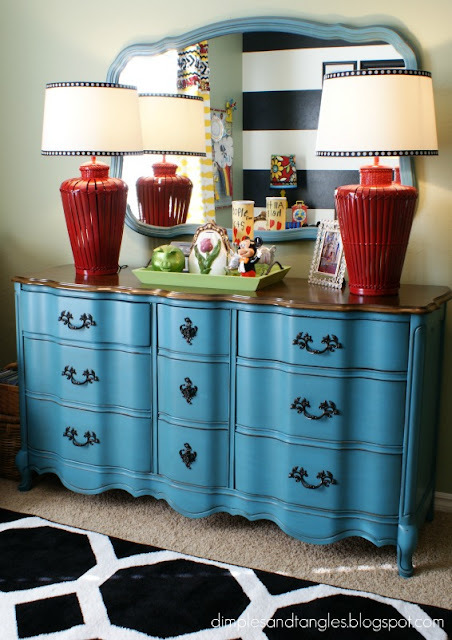 We love how bright and cheery it is! You need to see this dining room remodel’s “before” photos to fully appreciate this lovely makeover from Kristi of I Should Be Mopping Up the Floor. 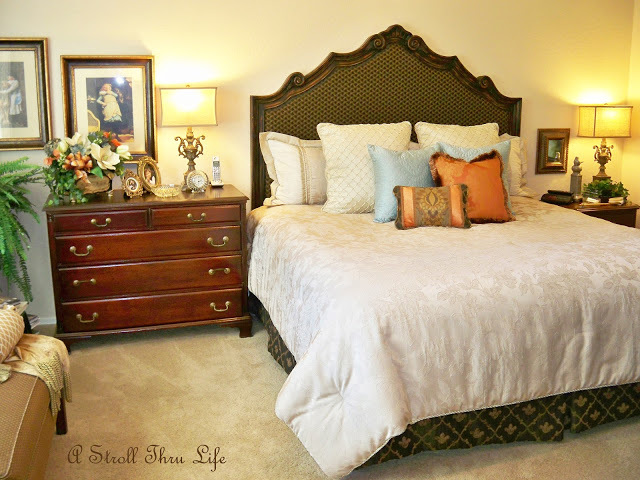 We all know and love Marty from A Stroll Thru Life, but did you see her beautiful new headboard makeover? The details are beautiful! 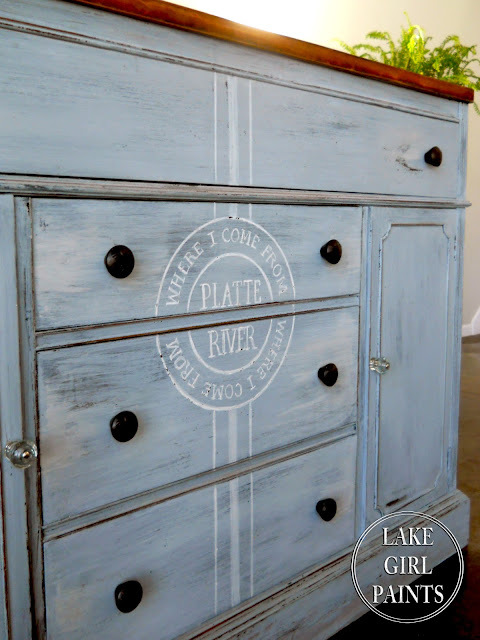 We love the details of this Miss Mustard Seed Milk Paint sideboard from Deb of Lake Girl Paints! She added an extra personal touch with this stenciled family stamp! 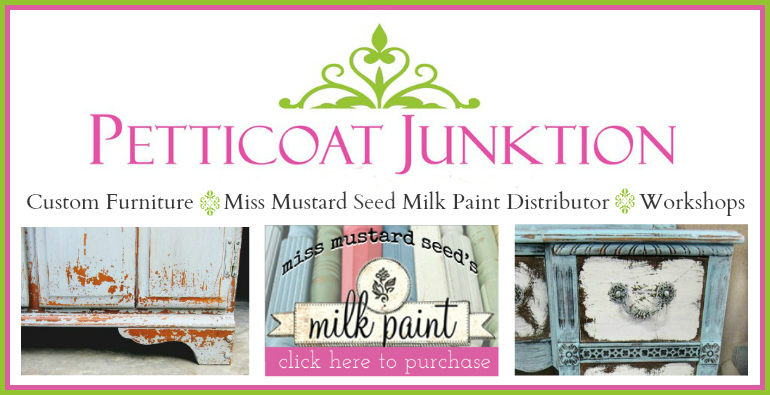 If you’d like to purchase your own Miss Mustard Seed Milk Paint you can visit paint distributor Petticoat Junktion. Would you believe this Pottery Barn Bar is a DIY knock-off? 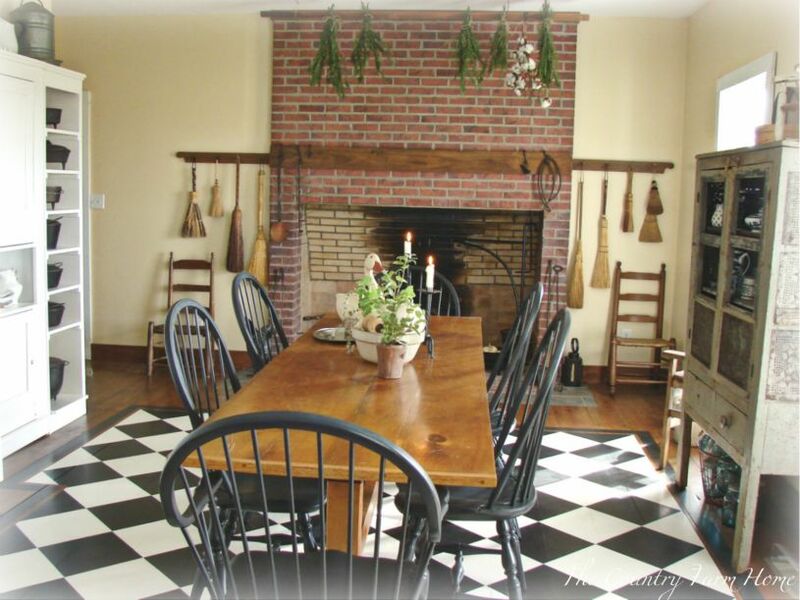 Jordan’s, from The 2 Seasons, husband built this for her following plans they found at This Old House…we are impressed! 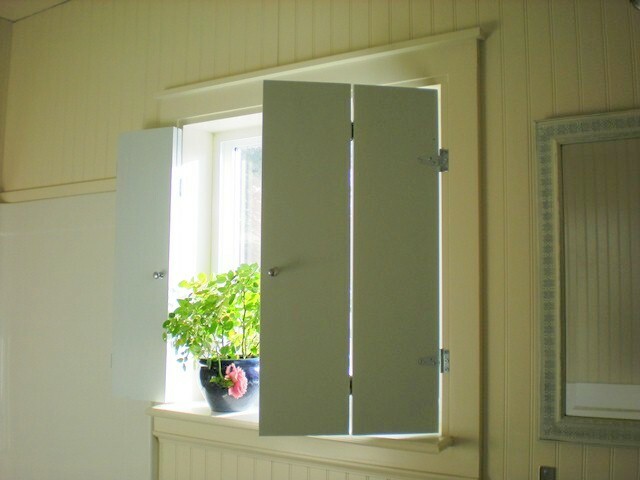 Anne of Design Dreams by Anne, not only ADDED a window where there was none in this bathroom, but also created her own DIY shutters! We think this is truly a dream design! How cool are these chalkboard chargers from Linda of It All Started with Paint? What a great way to personalize place settings at the table, perfect for any season! Jamie of Scattered Thoughts of a Crafty Mind shared how to make this darling Hand-Warming Muff! What little girl wouldn’t want to have one of these? So cute! We are in awe of the talent it takes to create something as beautiful as this Mixed Media Art from Crystelle Boutique. Title “The Family” it’s a truly inspiration piece! Birch is all the rage right now, and these Faux Birch Candle Holders from Homespun with Love knocked our socks off! 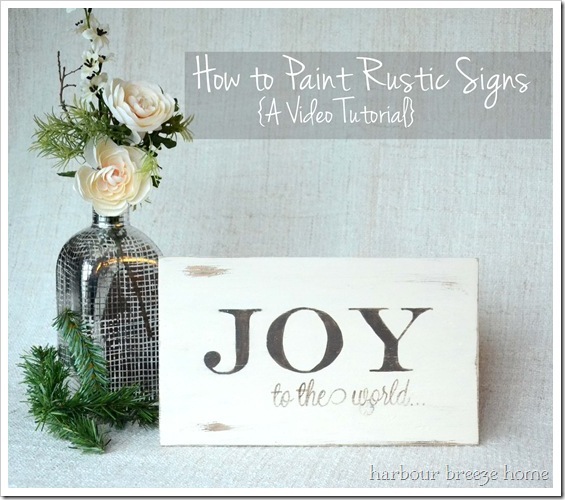 Rita of Harbour Breeze is sharing a great video tutorial on how to paint your own Rustic Signs. 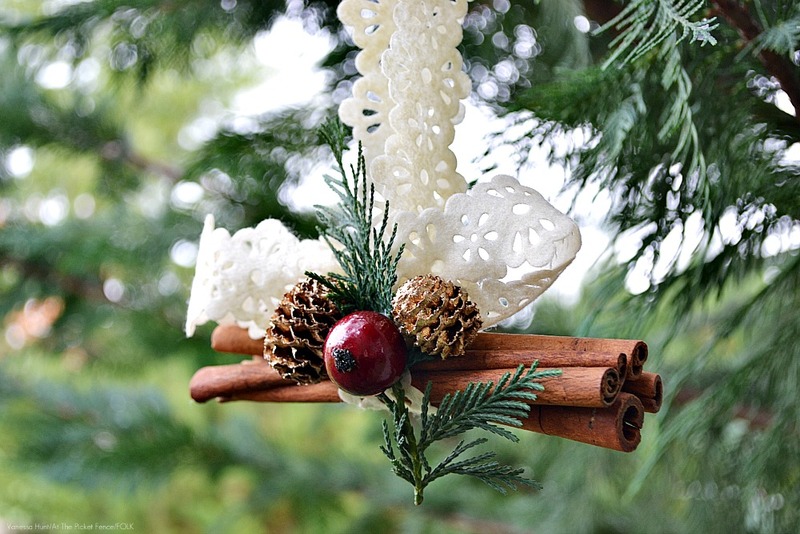 The Crafty Woman is showing us step by step how to take fabulous holiday photos! 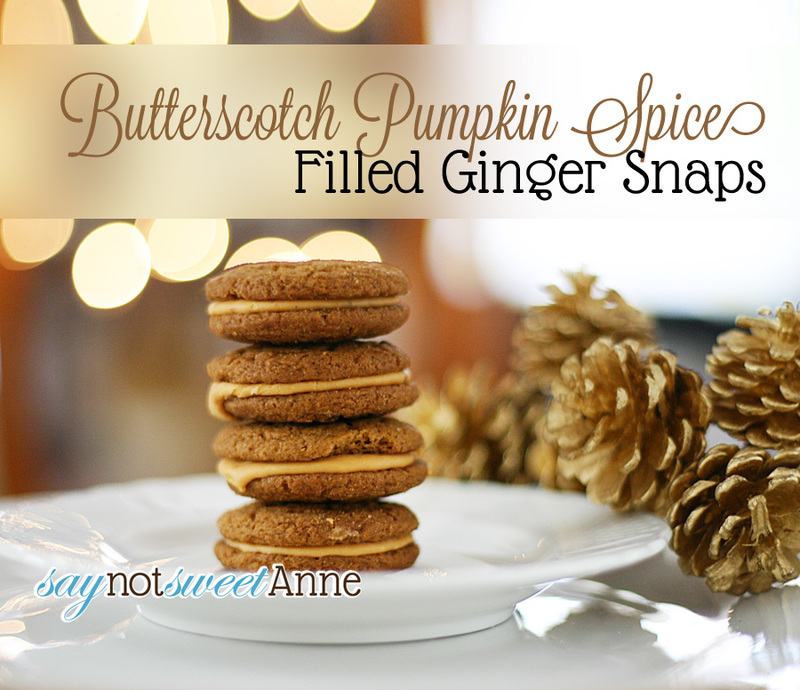 Kayla, of Say Not Sweet Anne, made these decadent Filled Pumpkin Gingersnaps. One of our favorite southern gals is sharing Birthday Cake Popcorn over at Dixie Delights! 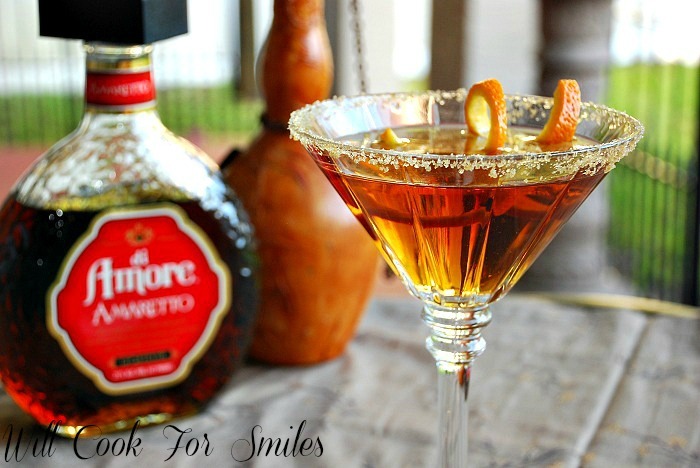 Here’s a perfect appetizer for those holiday parties! Artichoke and and Roasted Garlic Dip from Wonky Wonderful. 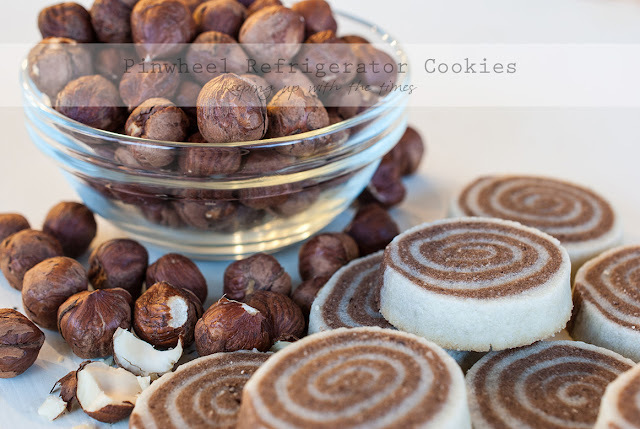 We love refrigerator cookies and these Hazelnut and Chocolate Pinwheel Cookies from Keeping Up With The Times look absolutely yummy! Gail’s , of Purple Hues and Me, Family Jewelry Christmas Tree caught our eye the second we saw it! Created from her mother’s costume jewelry, it’s become a true family heirloom! 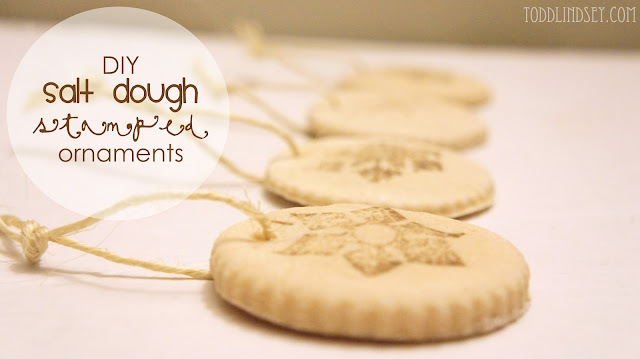 These Stamped Salt Dough Ornaments from Todd & Lindsey are a perfect family project and make gorgeous tree ornaments. 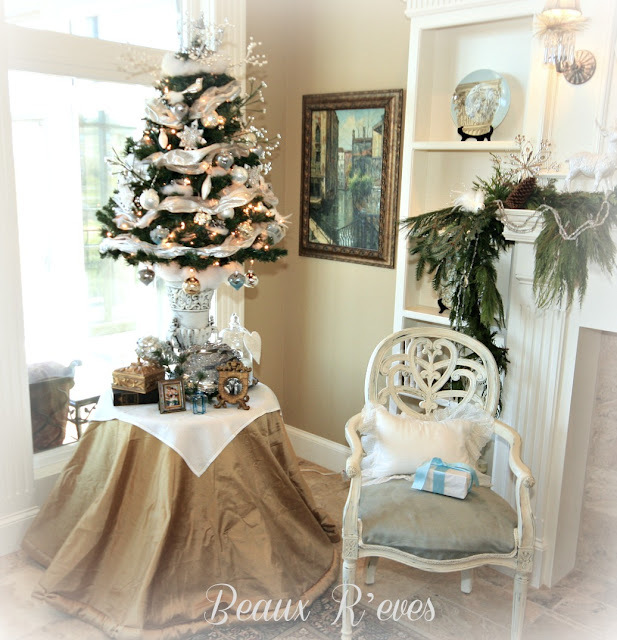 Jody of Homey Home Designs created these blinged out Christmas Trees from beaded garland! Sarah of Lacquer and Linen created this gorgeous Scandinavian Inspired Dining Room Table, we love the crispness and contrast of the red and white. 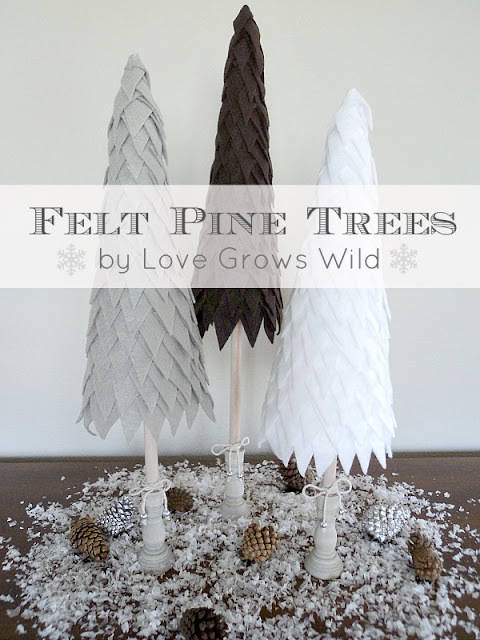 Liz of Love Grows Wild, created these serene and simple Felt Pine Trees. We love the monochromatic color and classic lines! Angelina of Ruby Jean’s Shop is sharing her precious new baby’s birth story, a true Thanksgiving post! 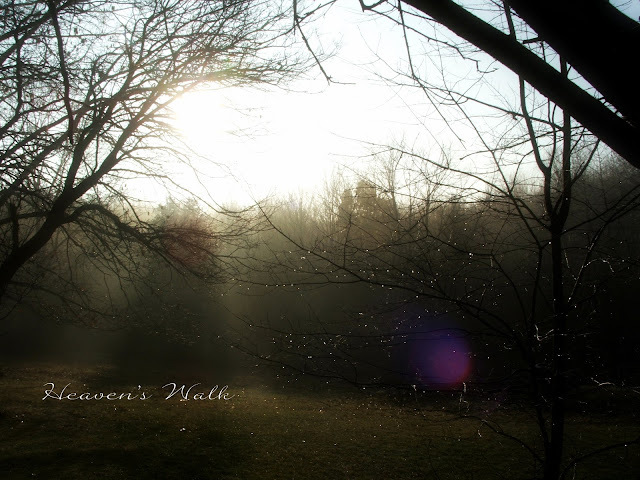 and we leave you with both the words and photos in this post shared by Laurie of Heaven’s Walk which are truly inspiring! Thank you to everyone who shared so many fabulous posts with us last week! We appreciate you! Now it’s time to share with us what has inspired you this week! Welcome back friends!! Hope you are all having a great week so far and getting back into the swing of things after the holiday! Thank you so much for being understanding about Inspiration Friday taking a break last week. We had some wonderful time relaxing with our families and we hope you did too. But, now we are back and ready to see what you have all been up to! We’ll be sharing features this week from the party 2 weeks ago but before we do, here’s what we’ve been up to around the Fence. 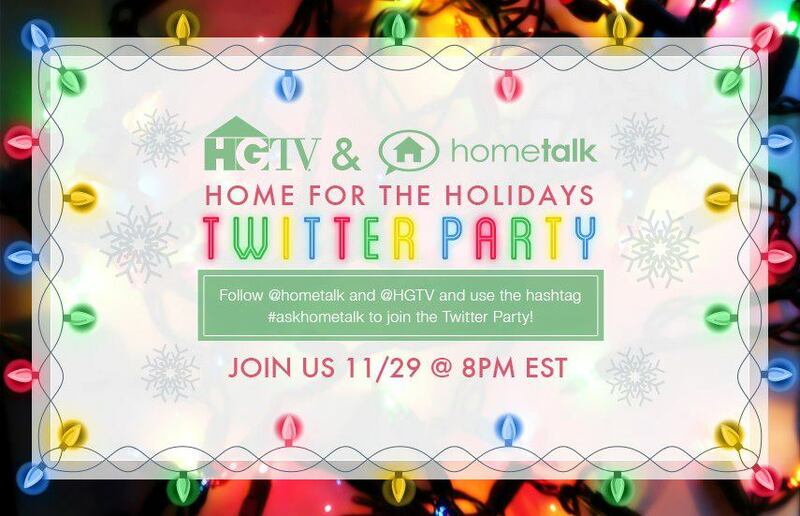 And we’re so excited to be joining the HGTV and Hometalk Home for the Holidays Twitter Party TONIGHT! Are you going to be joining us? It should be tons of fun with some awesome giveaways! Well, that’s it from us, so let’s take a look now at the Features from last week’s party shall we? We readily admit to experiencing some slight envy over the fact that The Country Farm Home has an actual “Keeping Room” and that it looks so lovely and warm. It would definitely “keep” us in there all the time! 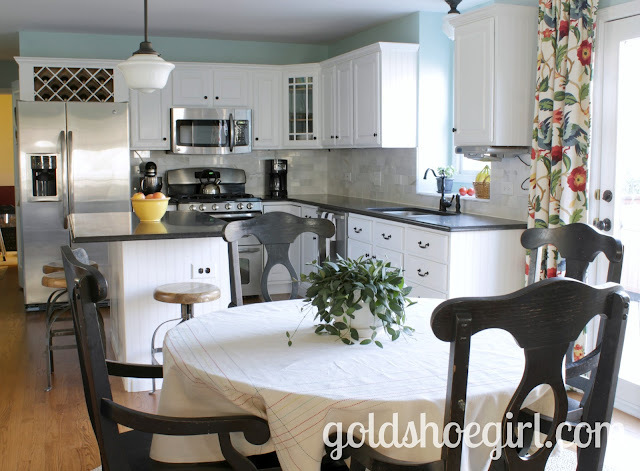 The Gold Shoe Girl revealed her beautiful kitchen and you won’t believe this transformation! We especially love the pop of color from her window treatments and giant framed chalkboard. 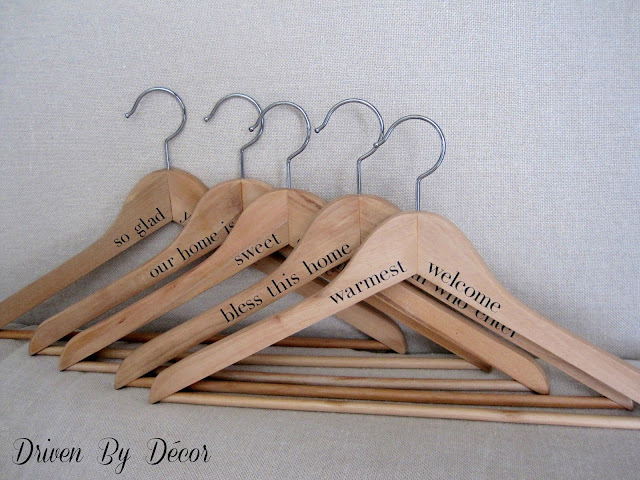 Kris from Driven By Decor gave wooden hangers a wonderful makeover by personalizing them and taking them from boring to beautiful and so sweet! 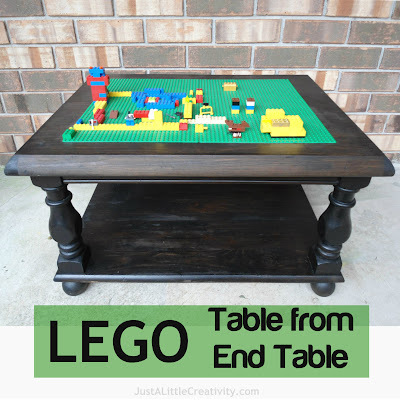 Molly from Just a little Creativity gave an old end table a makeover and some new life by transforming it into this wonderful Lego table perfect for creative play. Wendy from Designed to Dwell made over a small nook in her home and turned it into a really fun Chalkboard Gallery Wall. 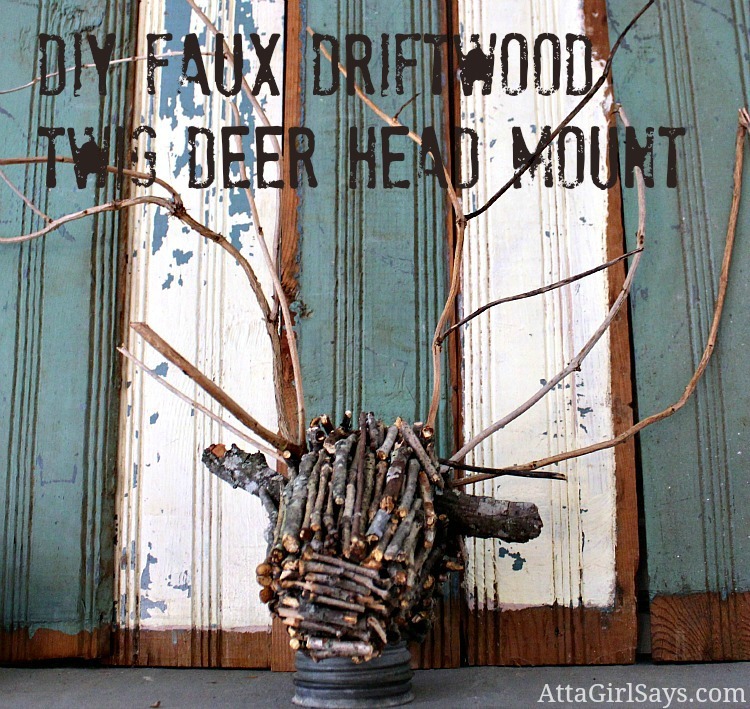 Amy from Atta Girl Says showed us how she made this DIY Faux Driftwood Twig Deer Head Mount and we are so impressed with her ingenuity! 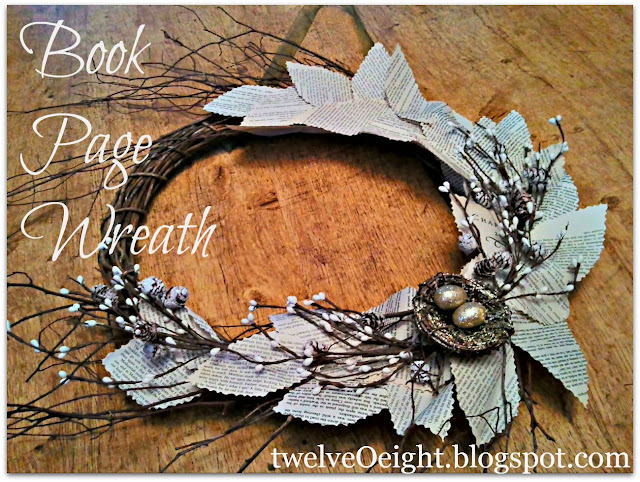 A wreath like this from Tanya of twelveOeight would be perfect for your home all winter long but a Book Page Wreath is always in season if you ask us! 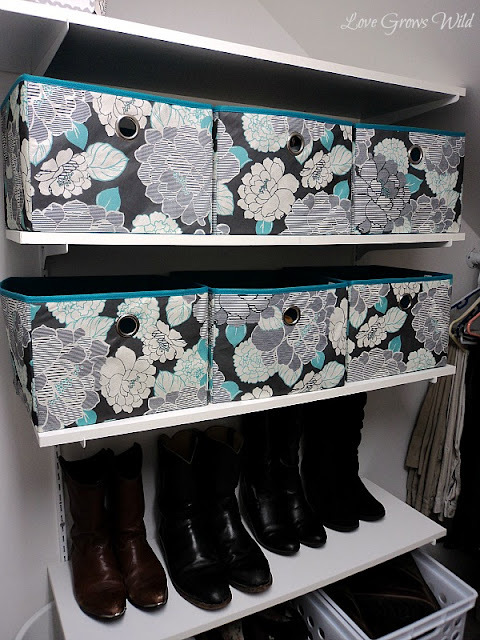 Liz from Love Grows Wild gave us some great tips for Shoe Organization and showed us how she gave her closet a makeover that is both beautiful and functional! 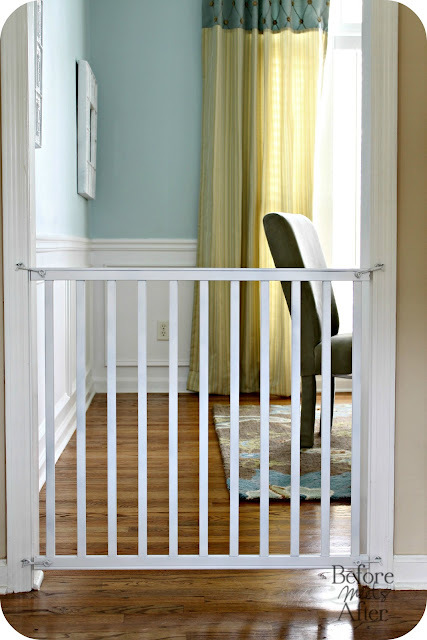 Lisa from Before Meets After shared this awesome trick for turning a crib into a Baby/Dog Gate. These can be so expensive so this is a fantastic alternative! She had us at “snickerdoodle”…and “donut”…ok, and “muffin” too. Mary from Sweet Little Bluebird has shared with us the recipe for these Snickerdoodle Donut Muffins and she may just be our new best friend! 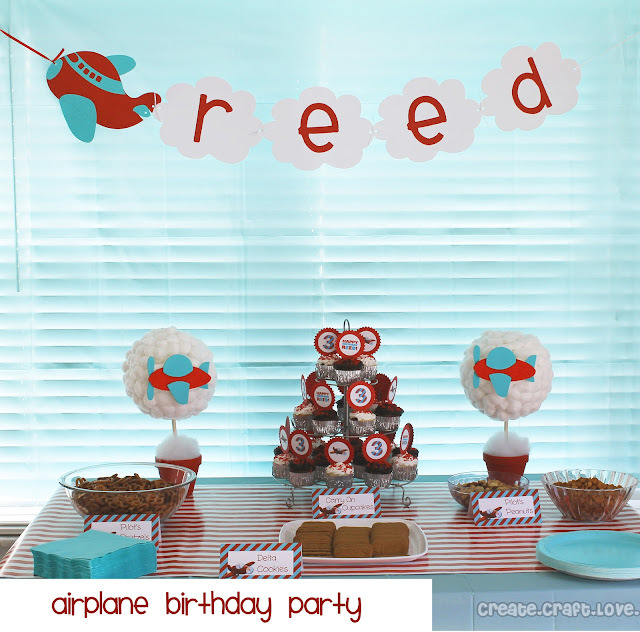 Jill from Create.Craft.Love showed us how her imagination took flight when she planned this adorable Airplane Themed Birthday Party for her son. Check out those cloud topiaries! Heather, a.k.a. The Not So Super Mama, showed us how to make delicious Balsamic Roasted Brussel Sprouts. We think these would make the perfect addition to a holiday feast! 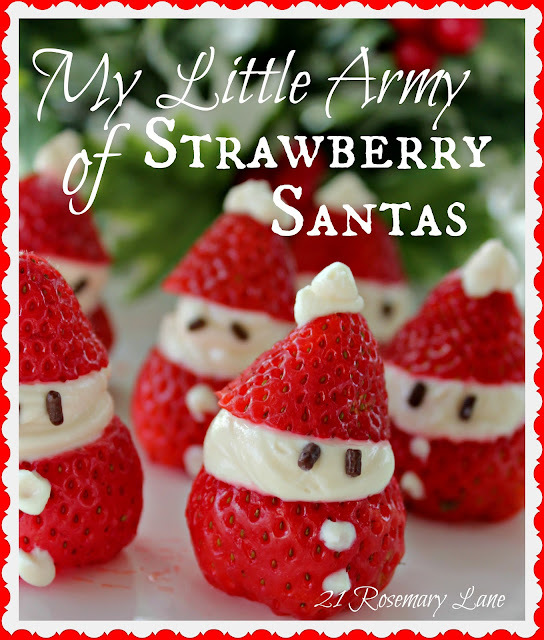 Barbara from 21 Rosemary Lane shared these adorable Strawberry Santas. We know a few kids (and kids at heart!) who would have fun making these and we’re sure you do too! Jody from Homey Home Designs shared a tutorial for making this darling tree skirt and we love how sweet it looks and how simple it is to make! 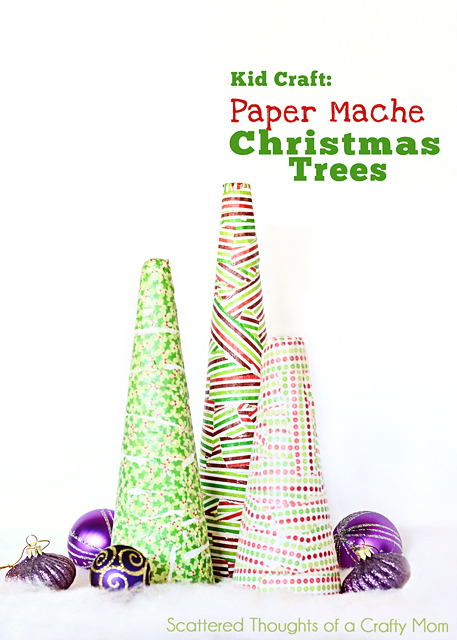 Jamie from Scattered Thoughts of a Crafty Mom put her kids to work and had fun making these darling Paper Mache Christmas Trees and we think they all make a great team! Marisa from Marisa Howard Designs showed us how to make these fantastic ornaments out of coasters and we think these would make fabulous gifts for neighbors or friends…or yourself! 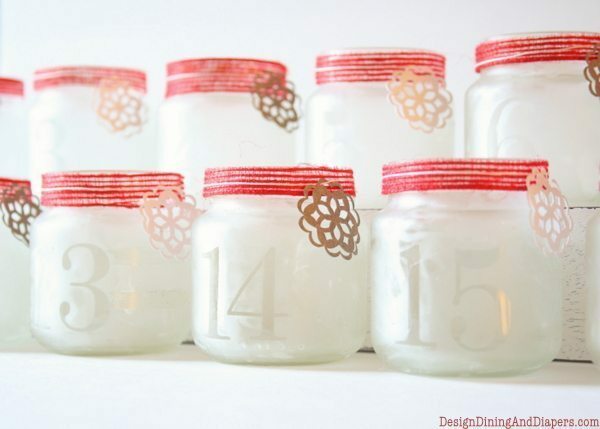 The talented Taryn from Design, Dining & Diapers showed us how to make this beautiful Luminary Advent Calendar using recycled baby food jars. 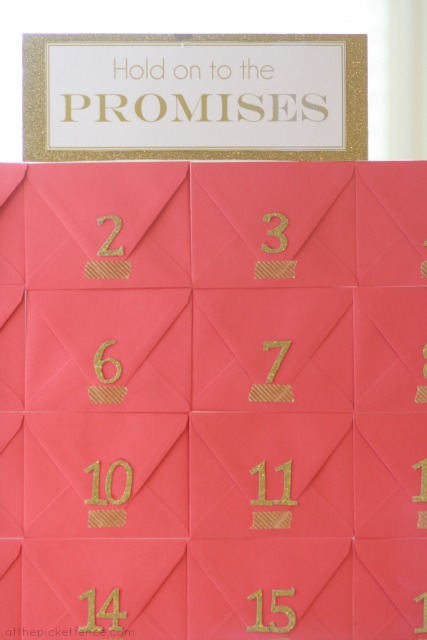 We absolutely love this idea! 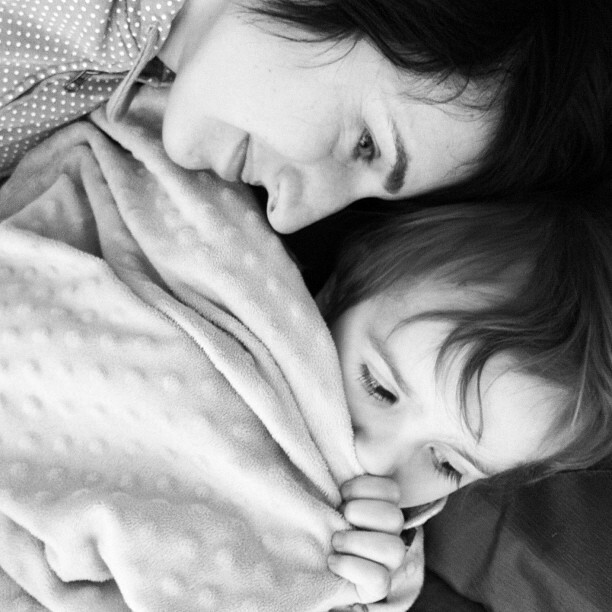 Aleisha from She Calls Me Mama Leisha shared a sweet letter she wrote to her precious little boy and it serves as a reminder for all mothers everywhere! LeeAnn from Style N Season not only gave us a glimpse at her fashion sense, she also shared some insight into marriage and what how much she has grown as a wife and a woman. Welcome to Inspiration Friday No. 90! Wow! It’s hard to believe we’ve had 90 of these amazing and fun parties already! Whew time flies by, doesn’t it! As we head into this week of Thanksgiving, we want you to know how THANKFUL we are for all of you! Each of you who share your talent, yumminess, tips and inspiration with us each week. You INSPIRE us everyday! Because Inspiration Friday falls over the Thanksgiving holiday, we are going to give ourselves a gift and take a break from Inspiration Friday next week! We hope you’ll understand, the need for us to spend next week enjoying time with our families. That means THIS week’s links will be featured the next week, so stay tuned! Up first, we’d like to introduce our newest sponsor here At The Picket Fence, Miss Kathy of Petticoat Junktion! 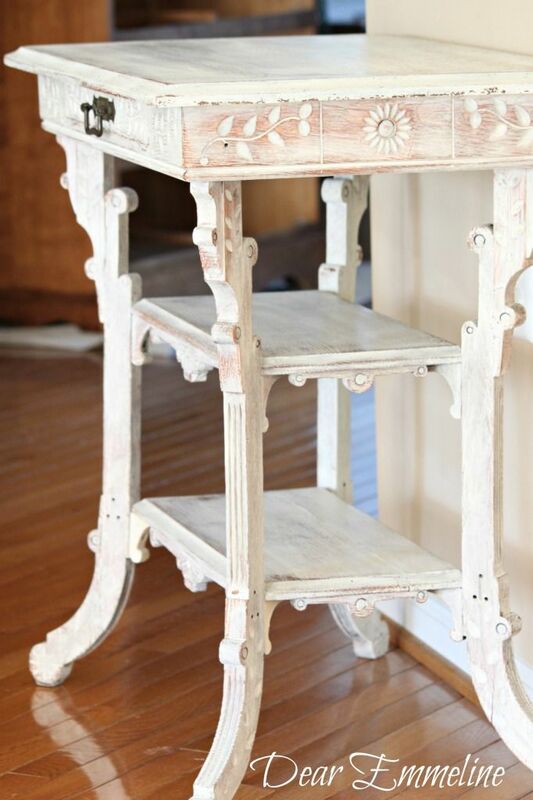 but she’s also a distributor for the amazing Miss Mustard Seed Milk Paint! 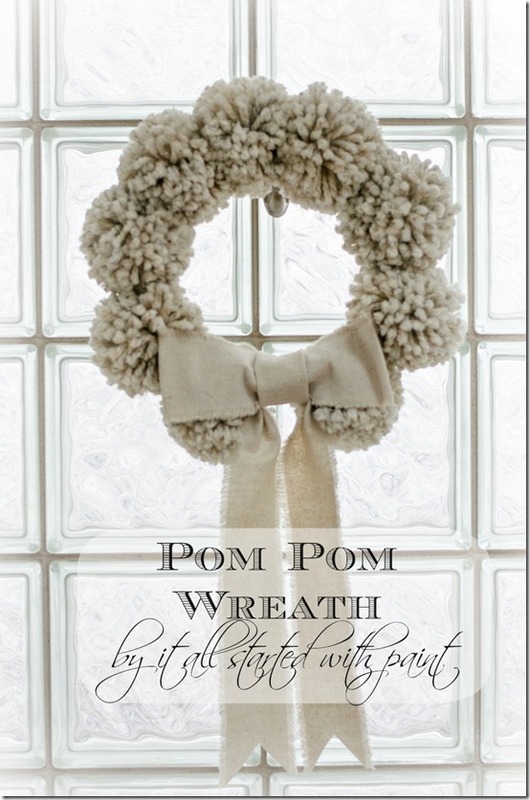 We’ll be hosting a fun giveaway from Petticoat Junktion coming up soon, so stay tuned! We’d also like to invite you to join us over at FOLK Magazine Blog after linking up here to share your CHRISTMAS and HOLIDAY PROJECTS over there, for a chance to win a guest contributor spot and a feature on the blog of your project for he month of December! So be sure to head over and link up with FOLK! 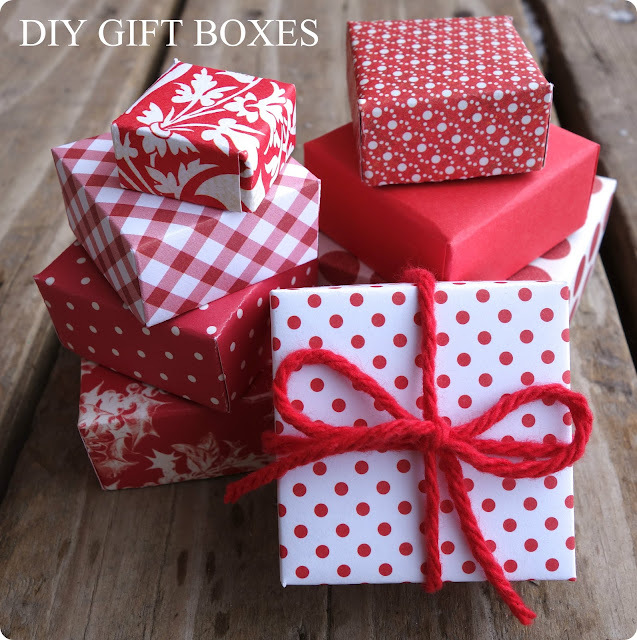 And, last but not least we are so excited to be joining Laura Putnam, of Finding Home, and a wonderful group of contributors at her new blog The Greatest Gift Project! What is The Greatest Gift Project? It’s an opportunity to let the people we love in our lives know the impact they have made and to let them know how they have changed us or our lives for the better. The purpose of thegreatestgiftproject.com is to do just that – to take a moment in our busy lives and let people know they have made a difference. We hope you’ll join us and the other lovely contributors as WE share our greatest gifts! Now onto share the features from one of our greatest gifts…YOU ALL! 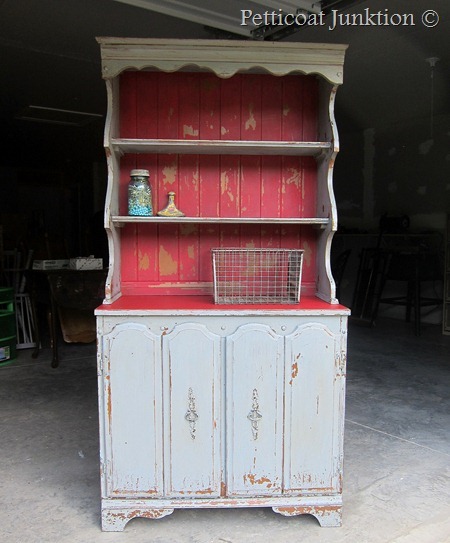 Amy of While Wearing Heals shared her beautiful 100 year old pantry makeover! 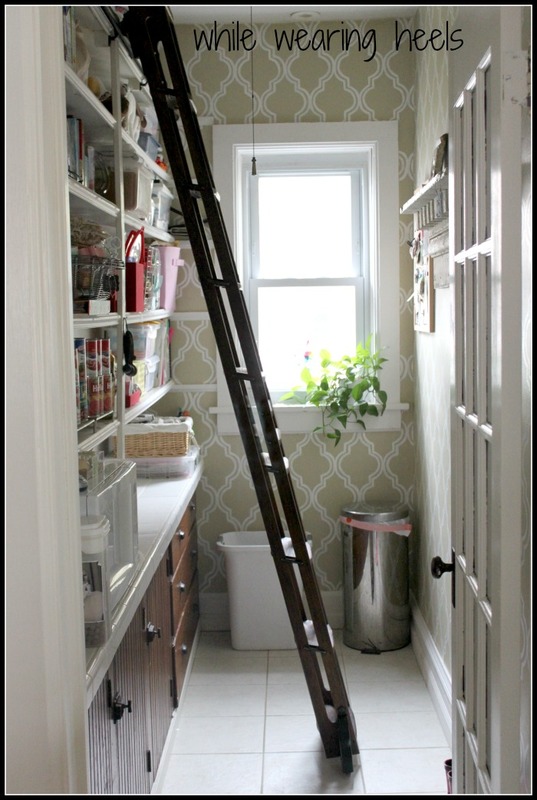 We love the ladder and gorgeous stenciled wall! 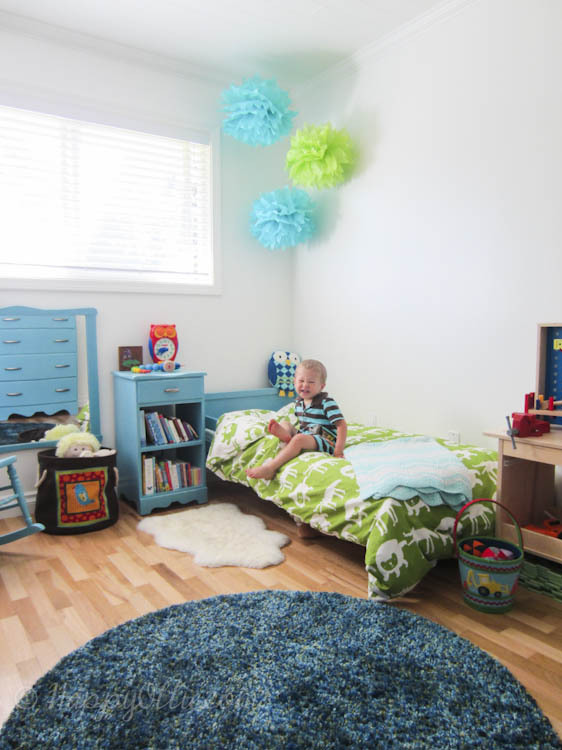 We fell in love with Oliver’s new little boy’s bedroom makeover from Stacy over at Happy Ollie! We think that must be one “happy” little guy to have such a fun bedroom! 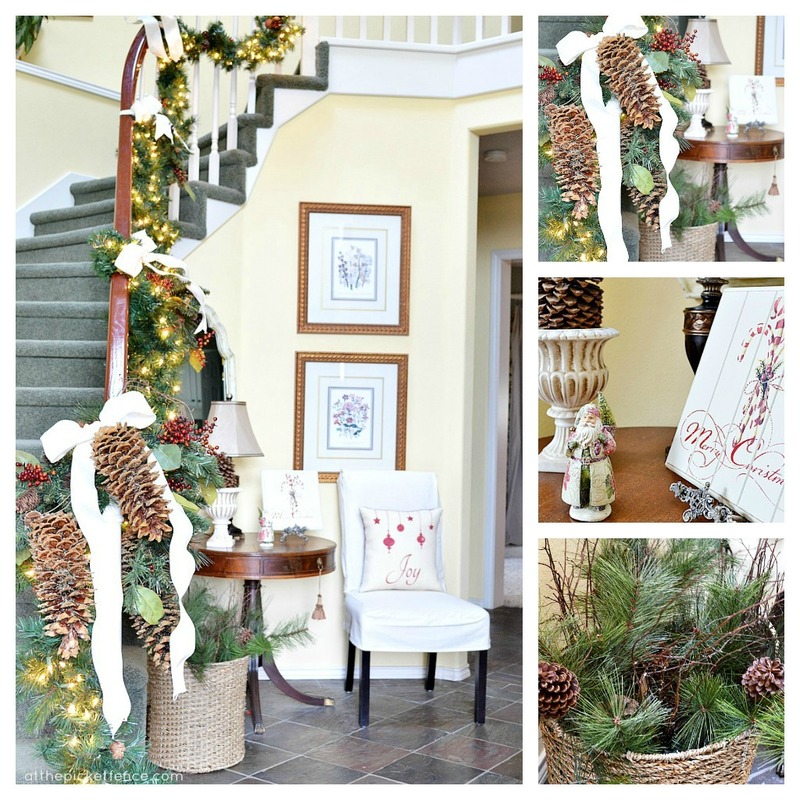 Check out the Before and After on Rita Joy’s, from Harbor Breeze Home’s, Entryway reveal. Lighter and brighter this fresh new look is top-notch! The young men are stealing the day around her with their darling bedroom reveals, and this sophisticated masculine nursery takes the cake! Shelley from Crazy Wonderful is sharing the amazing details of this beautiful room. Our friend Kim from Too Much Time Upcycled an Electrical Spool and made it over into this great office stool. Rumor has it that you might also see Kim in the December edition of Better Homes and Gardens. 😉 Proud and excited for you Kim! Dear Emmeline shared her first experience with Miss Mustard Seed Milk Paint that she used to makeover this darling table. We love the fresh new color and beautiful details! 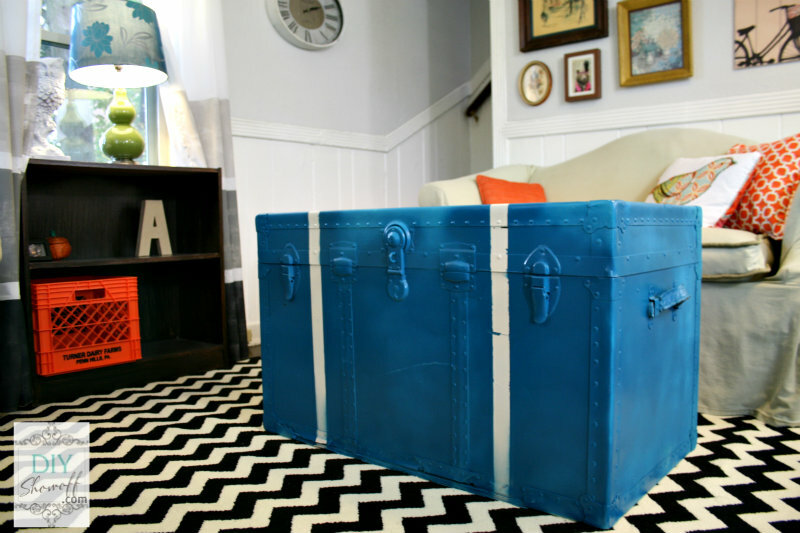 The talented Roeshel from DIY Showoff turned an old banged up steamer trunk into this darling coffee table with storage for her daughter’s new apartment. 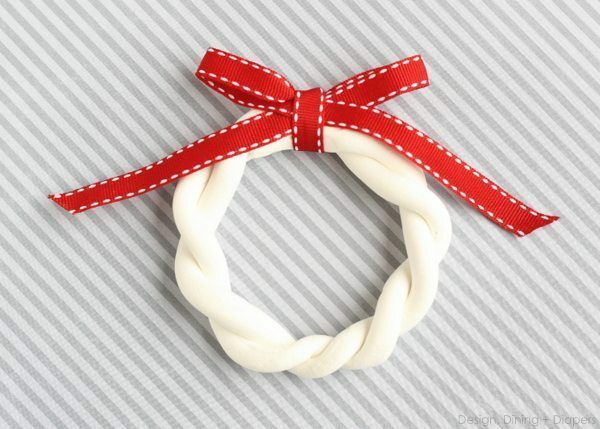 So cute and thrifty! 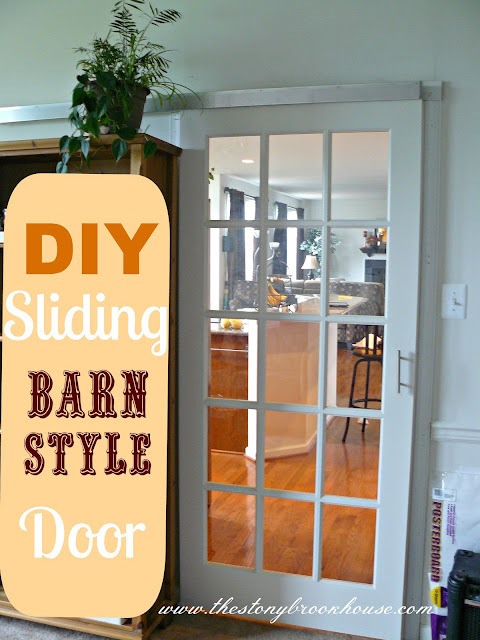 Lori of The Stonybrook Home shares a full tutorial on how to make your own DIY Sliding Barn Doors, converting a boring bland door into this fabulous faux barn door! What a fabulous way to honor someone! 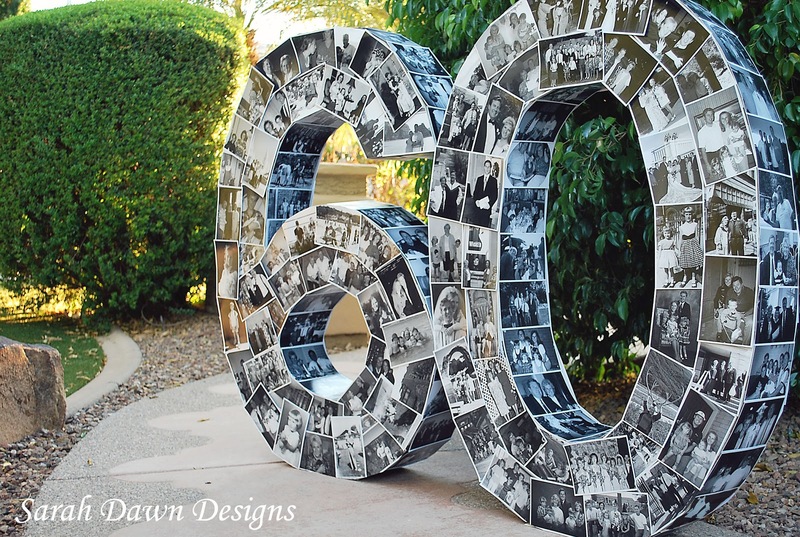 Sarah of Sarah Dawn Designs created these Photo Numbers for her mother’s surprise 6th Birthday Party. What a treasure! We see so many amazing milestones these could be used for. Create. Craft. Love. showed off these Beaded Napkin Rings she created for her Thanksgiving Table. 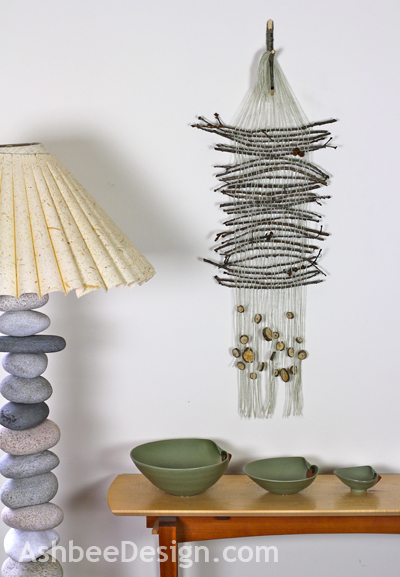 Marji at Ashbee Design created this amazing Twig Weaving Wall Hanging Tutorial, a way to bring nature indoors! 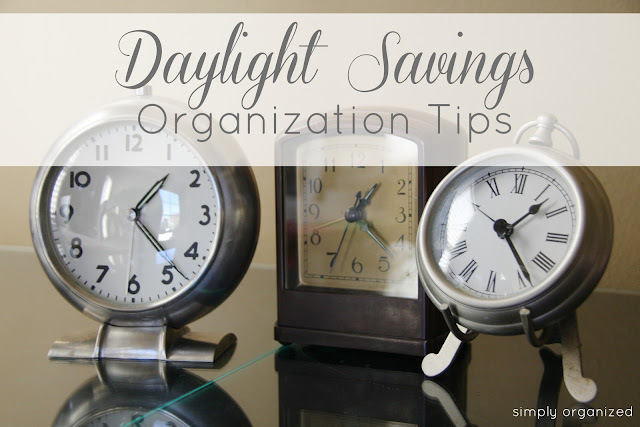 Samantha from Simply Organized shows us some simple daylight savings organization tips! We pray no one ever needs to use these tips but in light of the recent devastation on the East Coast from Sandy, we all are asking ourselves would I be prepared for something like this? 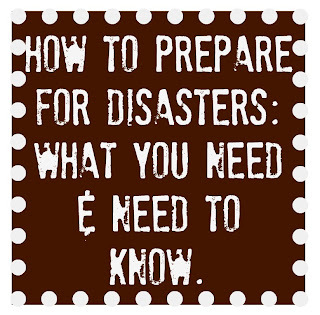 Lisa of of Lewisville Love is sharing her Tips and Tricks for Disaster Preparedness. A great and information post! 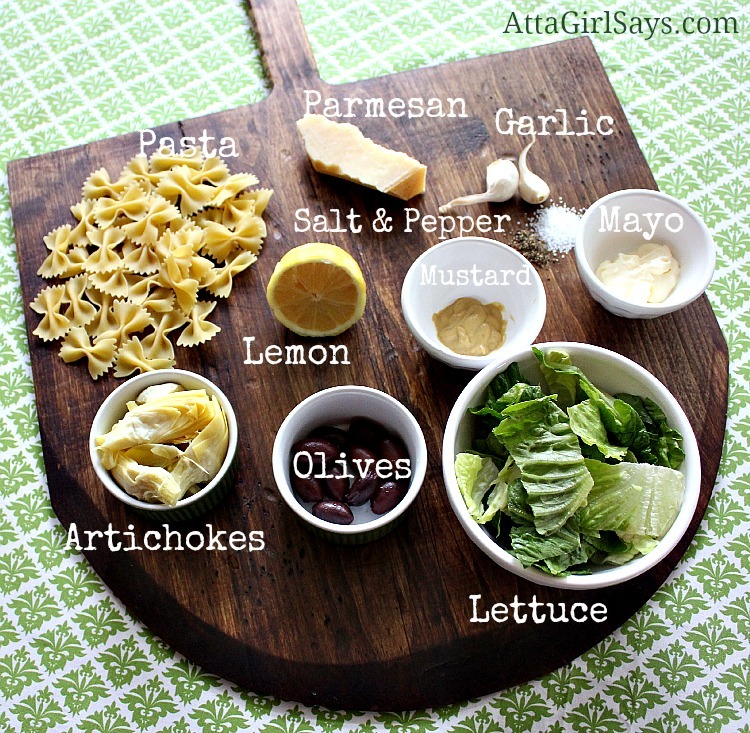 Amy of Atta Girl Says created this delicious Artichoke and Olive Pasta Salad. Look at these beautiful ingredients! Yum! 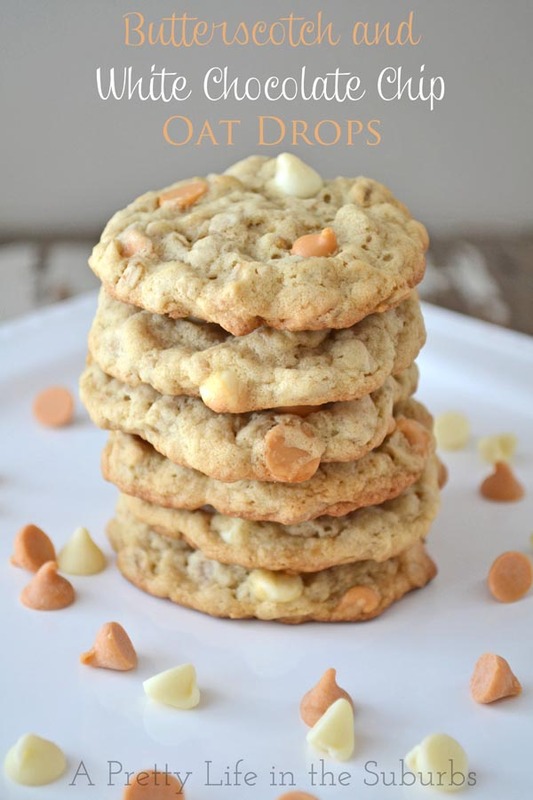 Jo-Anna of A Pretty Life, is sharing these oh so pretty Butterscotch and White Chocolate Chip Oat Drops with us! 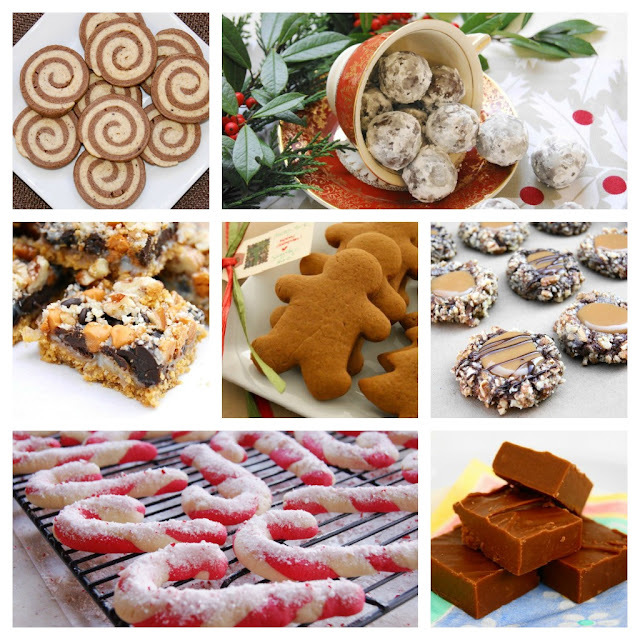 Another fabulous cookie to add to your holiday baking list! Fall and Winter, a time we crave warmth and comfort. What could be more comforting than this Newfoundland Fish Chowder from Sarah of Alderberry Hill. 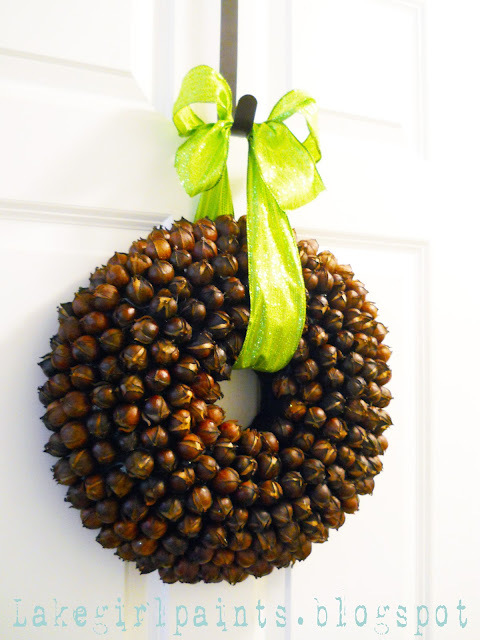 We loved this darling Hickory Nut Wreath from Deb of Lake Girl Paints, perfect for transitioning to Fall to Winter! We know this a dessert but it’s also for so “holidayish” we had to share it here! 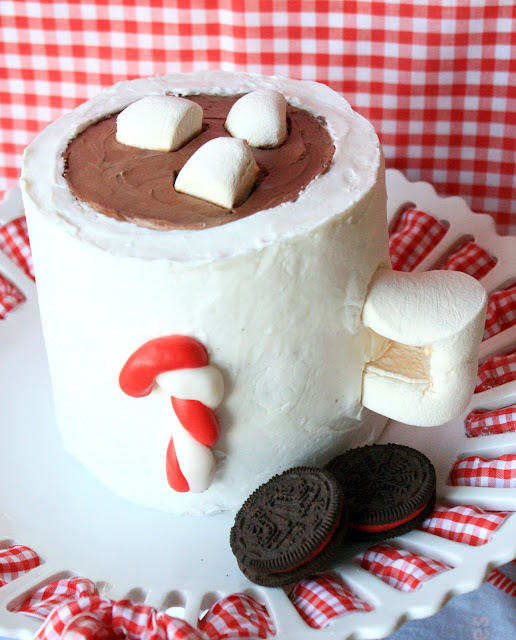 Who wouldn’t want this Cup of Coca in the form of a Cake from Sue of Munchkin Munchies?! Darling! 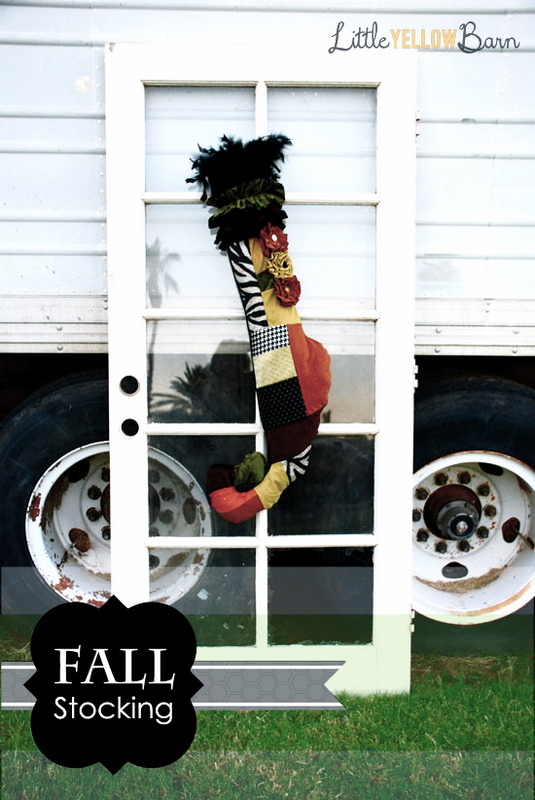 Angelina from Ruby Jean created this gorgeous DIY Fall Ribbon Sash featured in Parisienne Farmgirl Magazine! Carolyn of Desire Empire gives the full tutorial on how to make this precious and easy Christmas Advent Calendar! Myric of Petites Passions shares about her Faith in the Dessert and how ungratefulness can slowly creep in! We challenge you to read this beautiful post! Annie of Annie One Can Cook shares another way we can bless others this Holiday Season, Operation Christmas. Providing a way for us to thank those who sacrifice SO much, our Troops! Please consider supporting this great cause! Home of Handcrafted American Made Pottery! It’s Inspiration Friday No. 89! Welcome! Wow-wee! It’s been crazy around here At The Picket Fence this week! 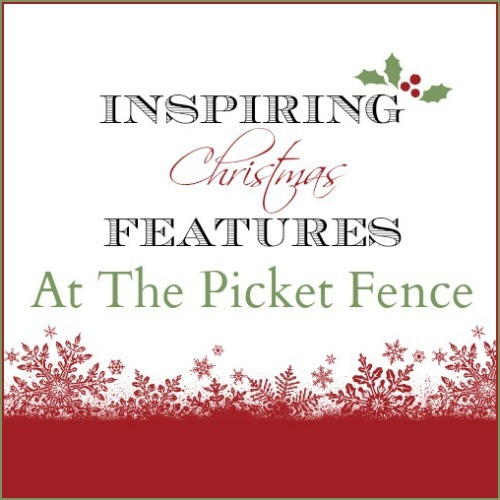 Up first we want to share that BOTH picket fence gals have two guest posts today and tomorrow! 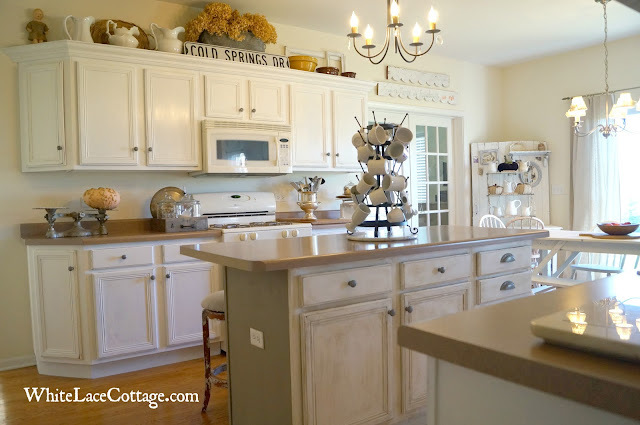 Heather was so honored to be guest posting today on BETTER HOMES AND GARDEN’S Style Spotter Blog about her experience having her kitchen in Better Homes and Gardens this month. Vanessa has her first contributor post going up tomorrow for FOLK MAGAZINE Blog! 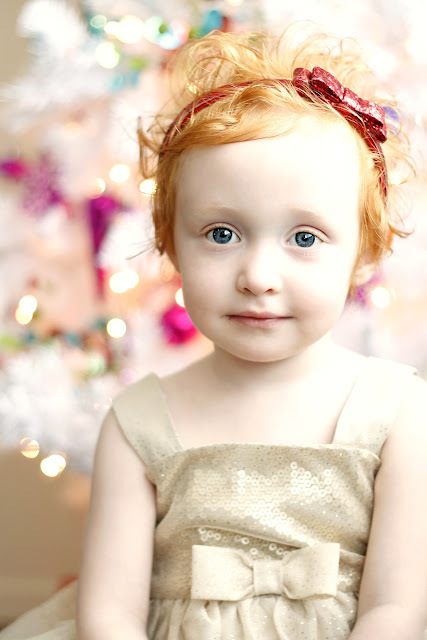 You won’t want to miss this holiday fashion post given by the cutest model ever…and we aren’t one bit bias. Be sure you subscribe to the FOLK Magazine Blog so you can keep updated on all of the fabulous content from an amazing group of contributors! We also want to announce SEVERAL new sponsors here At The Picket Fence! It’s time to start thinking about that holiday shopping, why not shop small business and shop online from the comfort of your home. That’s a WIN-WIN! 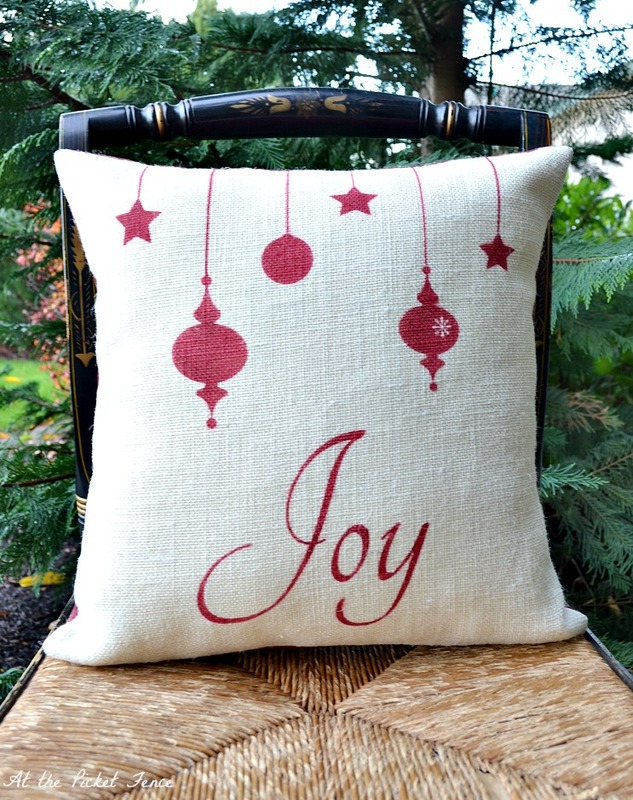 Where you can get beautiful Custom Home Decor for the holidays! 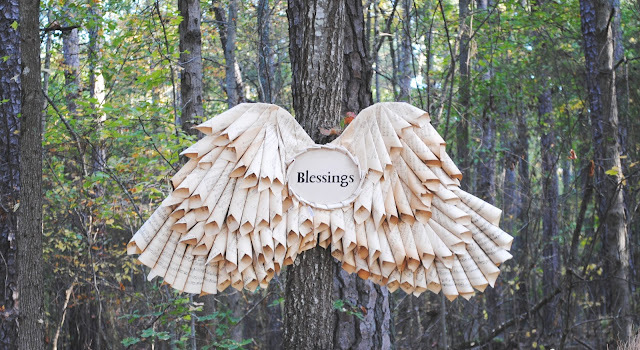 Old Barn Rescue Company offers beautiful up-cycled signs like these! 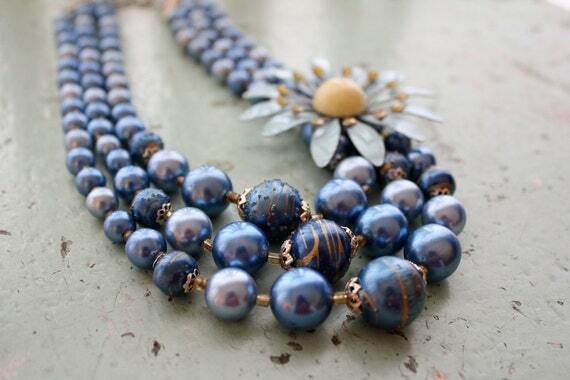 Bel Monili offers one of a kind pieces using upcycled vintage jewelry and materials! 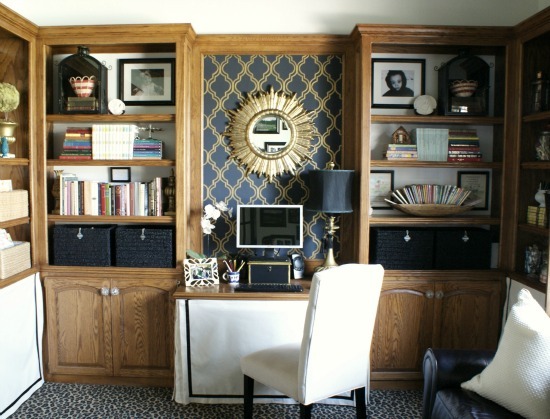 Take a look at the gorgeous office from Jennifer at Dimples and Tangles. Doesn’t it look like it belongs in a magazine?! We adore this beautiful kitchen from Anne at White Lace Cottage and think she did an amazing job adding loads of charm and character. You just have to see the “Before” of this room to appreciate the transformation! This beautiful Laundry Room Reveal comes to us courtesy of Debbie from Me and My DIY. 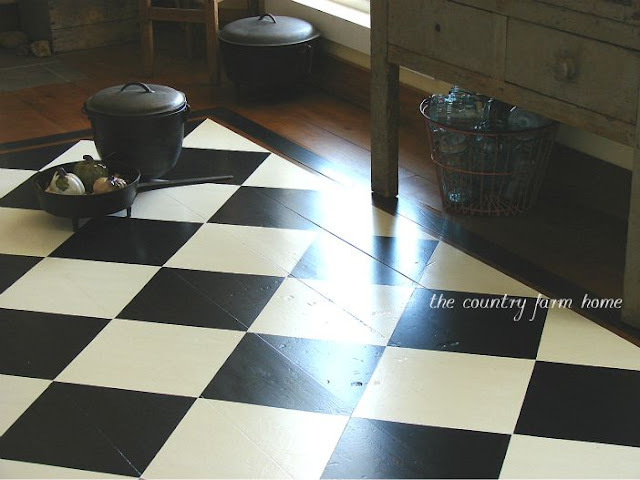 Jean, of The Country Home, shared her DIY Checkered Board Floor Makeover. They provide a full tutorial so you can recreate this fabulous floor yourself! Amazing! Adelaide of Meg and Mum’s took this Roadside Rubbish to Royalty, when she made-over this roadside find! Rust the great enemy of so many but the friend of every vintage crafter! 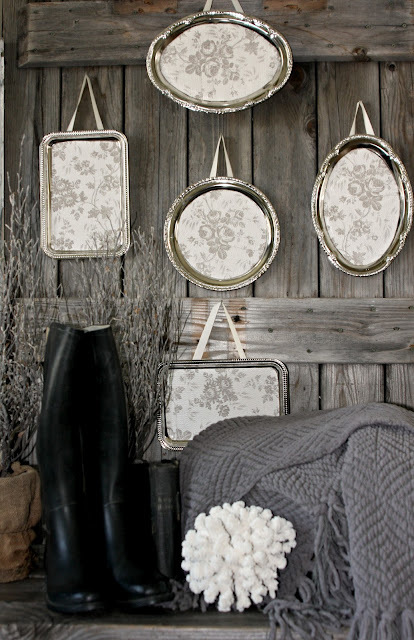 We love the look of old and adding a touch of rust to new items is a great way to get it! 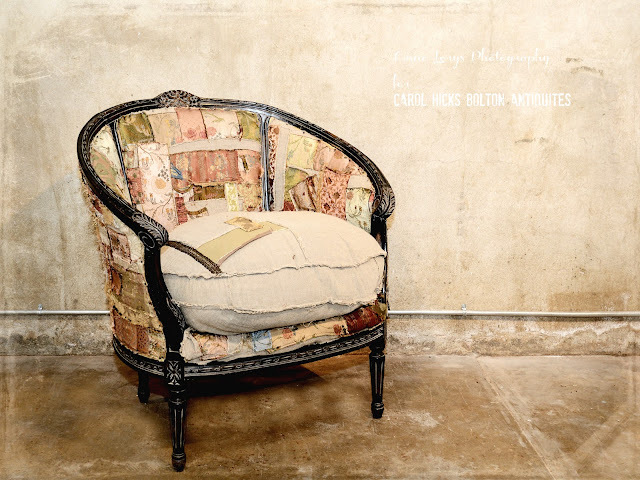 KerryAnne, of Shabby Art Boutique, shares a great, safe rusting recipe with us! Felt! Flannel! Velvet! Oh My! 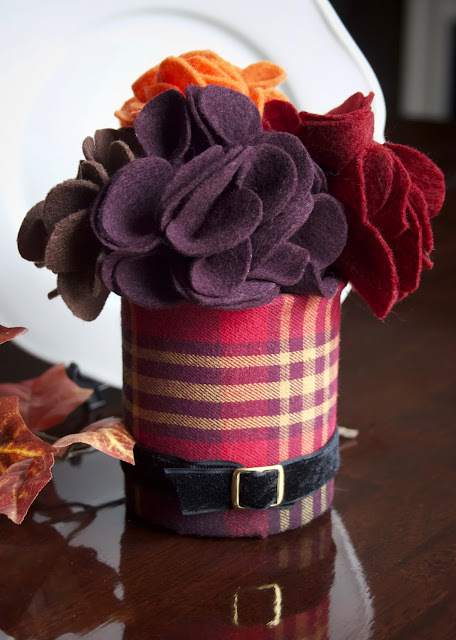 Melissa, of Redfly Creations, created this lovely “floral” arrangement out of these gorgeous textiles! Rita May of May Days showed us how to make this Wine Cork Mirror to display over your bar! Rebecca of You Are Talking Too Much, shares a quick an easy way to make our tiled surfaces sparkle! Something we can all use with the onslaught of company during the holidays! Aimee from It’s Overflowing shares some great Outfit Selecting Tips for those upcoming Holiday Family Pictures! 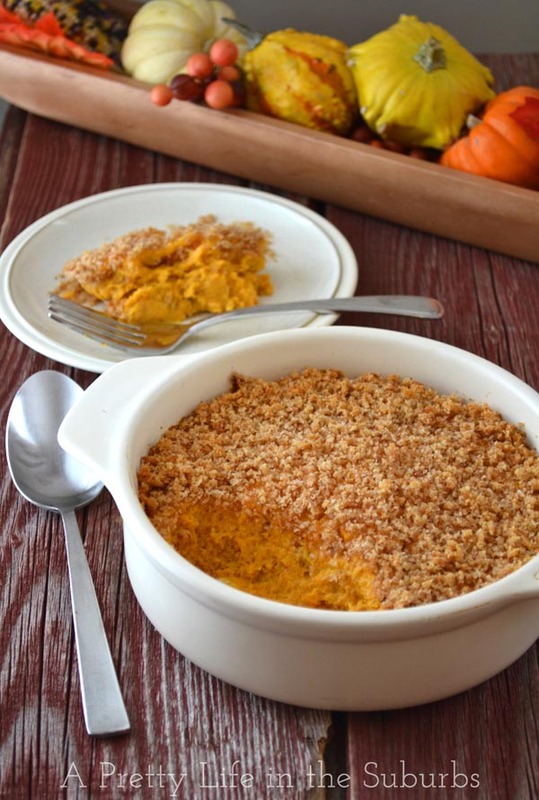 This Butternut Squash Puff from Jo-Ann of A Pretty Life in the Suburbs would make a perfect addition to your Thanksgiving meal! These Mini Hot Cocoa Cookie Trifles with Biscoff Whipped Cream from Leslie at The Cozy Little Kitchen would make the perfect conclusion to any fall meal! 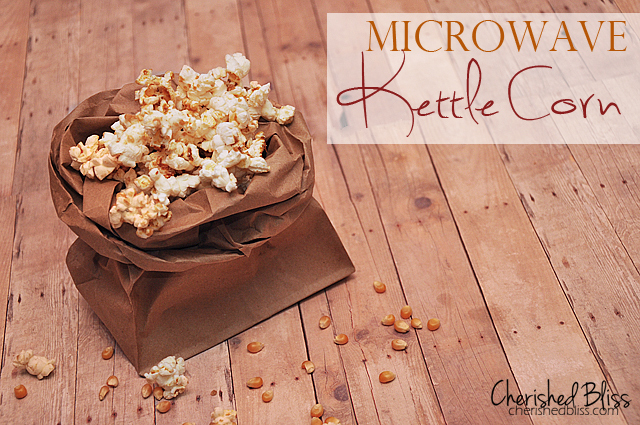 Ashley of Cherished Bliss shares this easy Homemade Microwave Kettle Corn recipe, a perfect fall treat for your family! 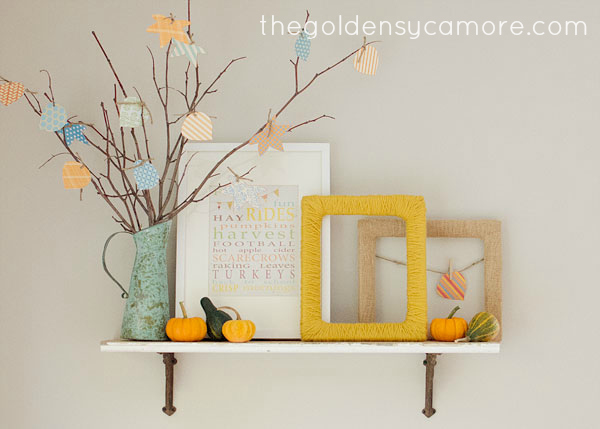 This gorgeous Fall Display and Free “Give Thanks” Banner Printable from Simplicity in the South, is a beautiful way to usher in this season of Thanks! 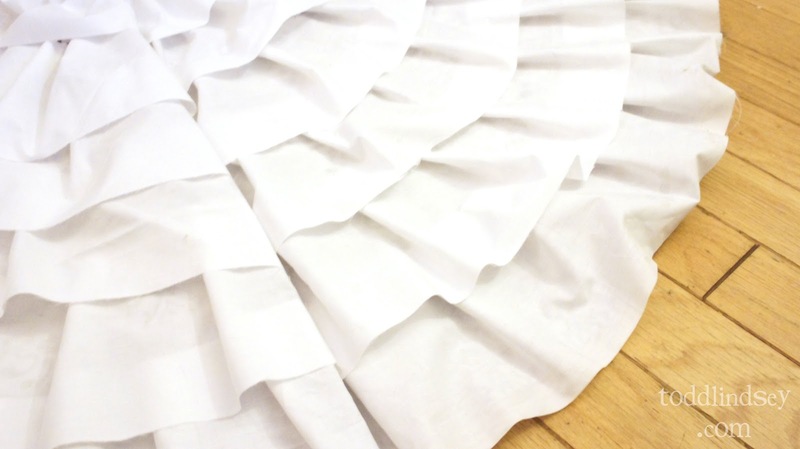 We love this gorgeous ruffled Tree Skirt from Todd and Lindsey Creating that was upcycled from an old tree skirt! Includes full tutorial! We adore the elegance and simplicity of this Easy Bling Pumpkin from Heather of Setting Four Four! 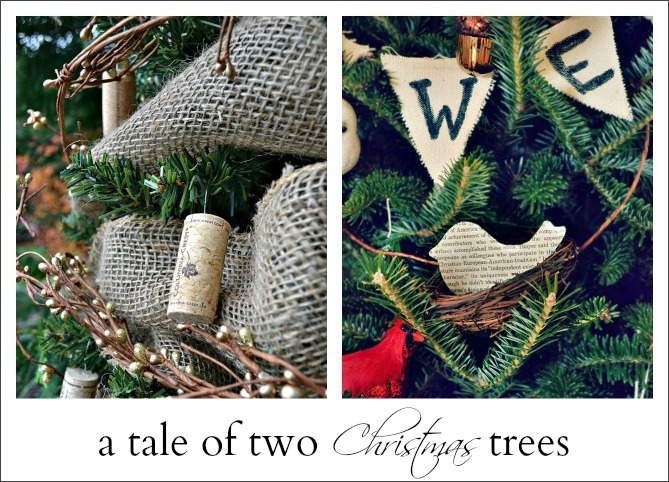 We love these “thrift store” upcycled Sweater Christmas Trees from One More Time to Celebrate! Jeanne over at juNxtaposition shared her experience as a vendor at the Atlanta Country Living Fair and Heather got the privilege of finally meeting this talented sponsor of ours! We had such a blast hanging out and having dinner together. 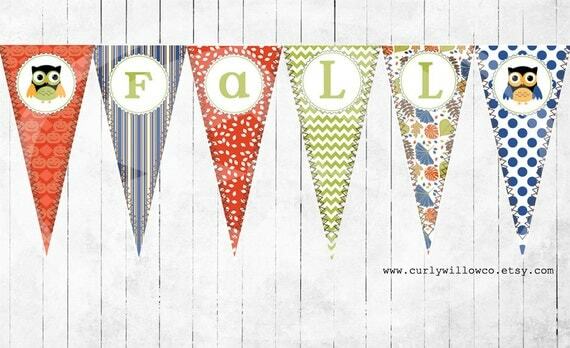 Head over to Jeanne’s post to see all of the gorgeous items from the Fair! 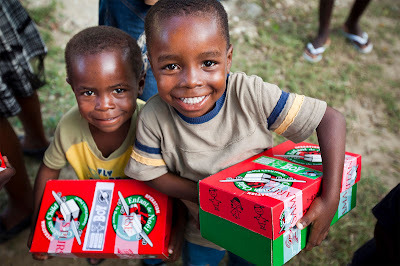 Our friend Allison, from Stuff and Nonsense, is sharing the wonderful ministry of Operation Christmas Child. One we both support each year! November 12-19 is the Collection Period! 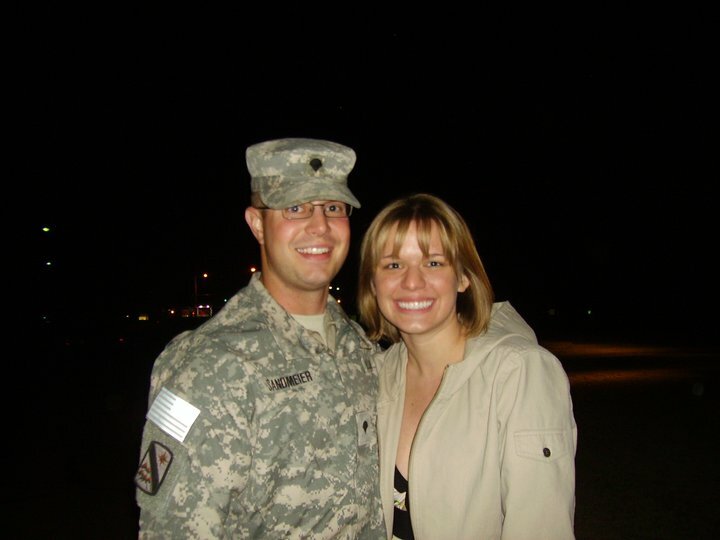 Read Allison’s post to see how YOU can help! where you can find gorgeous bedding like this! Wowee! How can it be November??? Wasn’t it just summer? We LOVE this time of the year and we have lots of fun things in store for you all but…whew…time is flying! Before we get to the Features from last week’s fabulous party, we wanted to share with you what has been happening around the Fence this week. First, before we get Inspiration Friday underway, we want to let all of our friends and fellow bloggers affected by Hurricane Sandy to know they are in our thoughts and prayers! We know many of you are still without power and may be reading this days from now. Just know we are thinking of you and praying for safety for your families and restoration for your communities! So, have you noticed things looking a bit different? Well, we finally bit the bullet and made the switch to WordPress! We want to say a huge thank you again to Kristi from Addicted 2 Decorating who made this such a seamless transition for us. 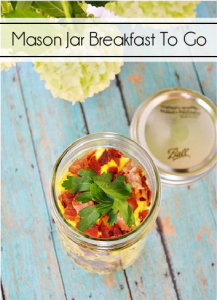 If you are looking to do this with your own blog we highly recommend this talented gal! Here you will find so many awesome Decorative Vinyl Decals. There are so many more to choose from and we would love it if you would pay Leen The Graphics Queen a visit and tell her the girls at the Fence sent ya! We are entering into the season of Giving Thanks and today (Thursday) Vanessa is helping to kick off an amazing series called “An Attitude of Gratitude” put together by Kristin from Simply Klassic Home. Here’s what else we’ve been up to! 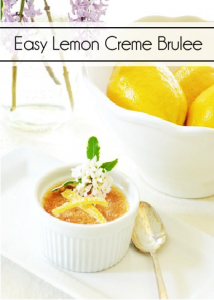 This week our Regular Contributor Julie shared with you some incredible recipes in her post From Tree to Table. We just love having Julie as apart of our Picket Fence team and we so appreciate you welcoming her! 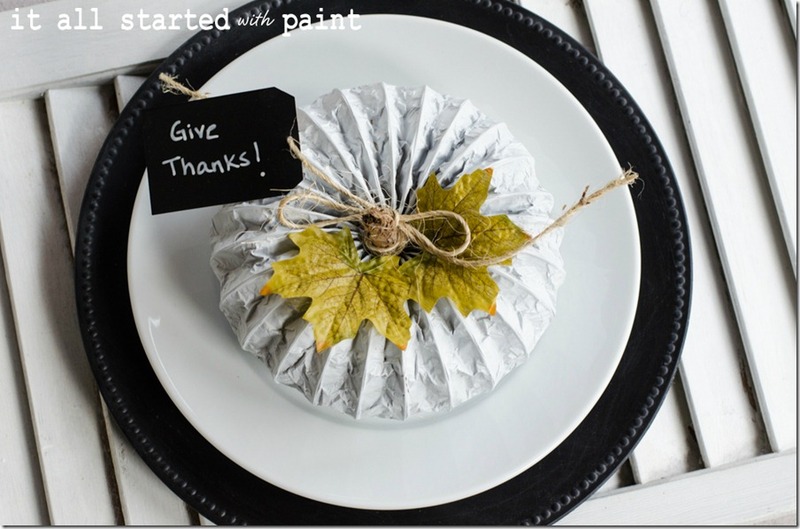 Next, we shared with you some fantastic highlights from the Thanksgiving Traditions Linky Party which is still going strong! There is still plenty of time to join in the fun and share your own Thanksgiving Inspiration with us. 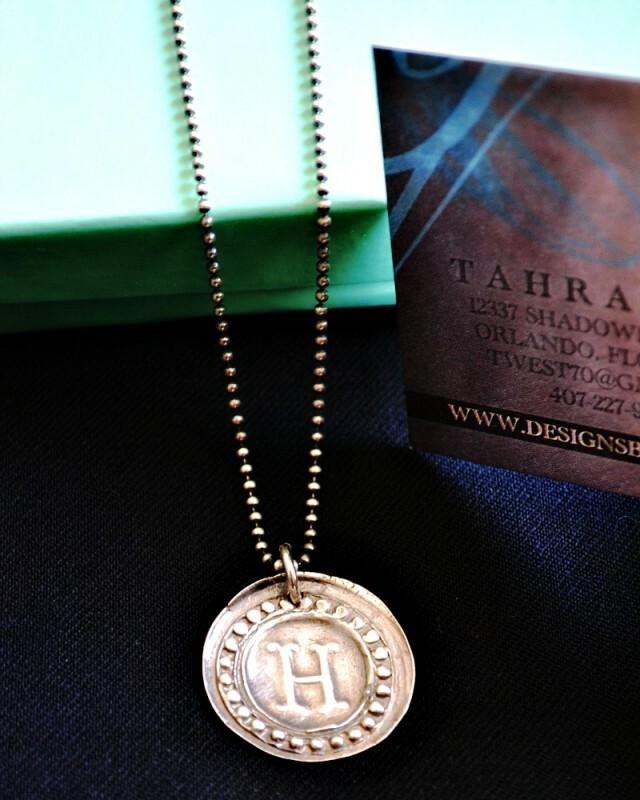 And, yesterday Heather showed off a gorgeous necklace from the talented Tahra of Designs by Tahra. 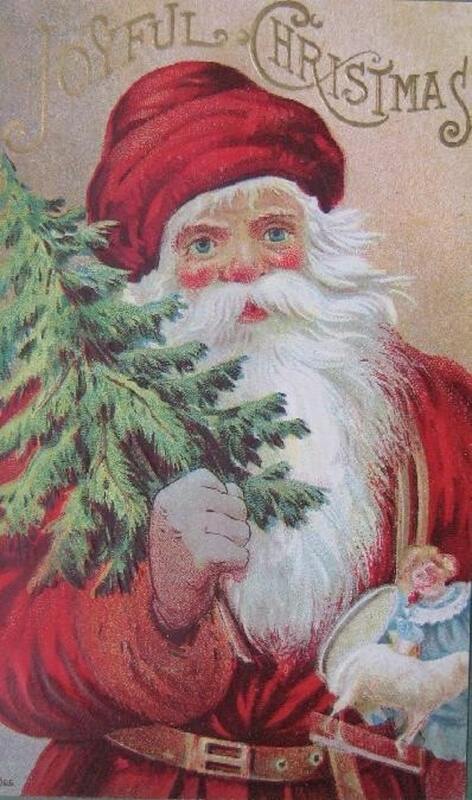 As a special treat to our At The Picket Fence readers, Tahra is offering 10% off during November for buying Christmas! Just use tahra10 at checkout. Now, let’s get to some Features from last week’s party shall we? Jen from City Farmhouse gave her kitchen a fresh (and non-permanent!) look with these fantastic Contact Paper Stripes! Anna from Ask Anna did a beautiful job making over her entry and creating much needed storage space! Jody from Rooted in Thyme gave a chandelier a fresh look just in time for Autumn and the results are wonderful! 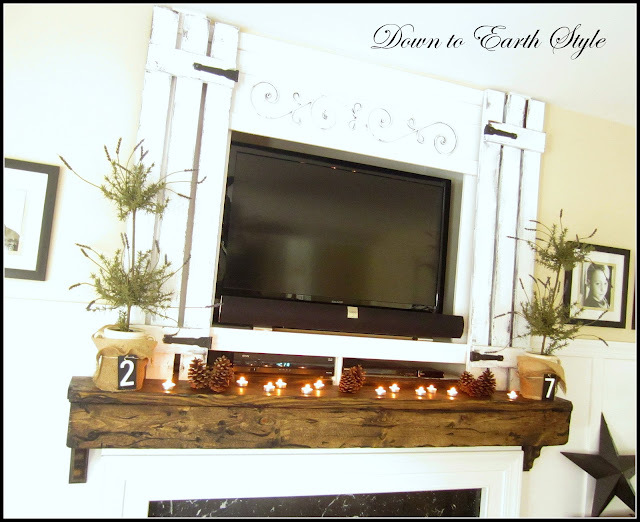 Holly from Down to Earth Style gave her builder grade mantel a rustic makeover for only $40 and a little elbow grease! Autumn from It’s Always Autumn showed us how she made this J.Crew Knock-Off outfit and while it is adorable we think her darling daughter definitely makes it that much cuter! 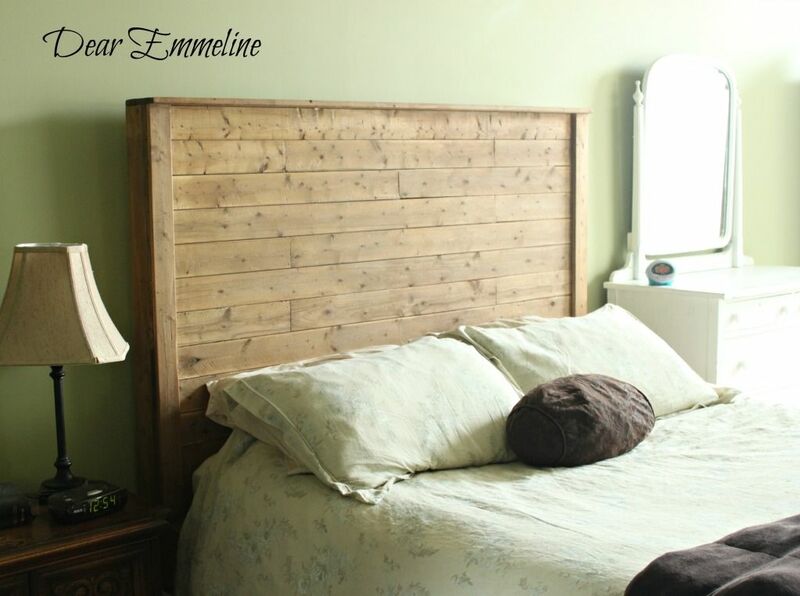 Dear Emmeline showed off this stunning hand-built Weathered Wood Bed as well as some awesome techniques for achieving this look. Judy from DIY By Design showed us how to make these adorable Clay Owl Napkin Rings and we think they are perfect for gracing a Thanksgiving table. 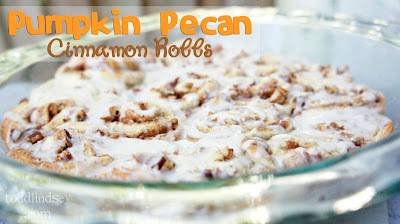 Lindsey from Todd & Lindsey Creating shared with us this recipe for Pumpkin Pecan Cinnamon Rolls. We’re thinking we might need a nap after having these! Carolyn from homework made these sweet (pun intended!) 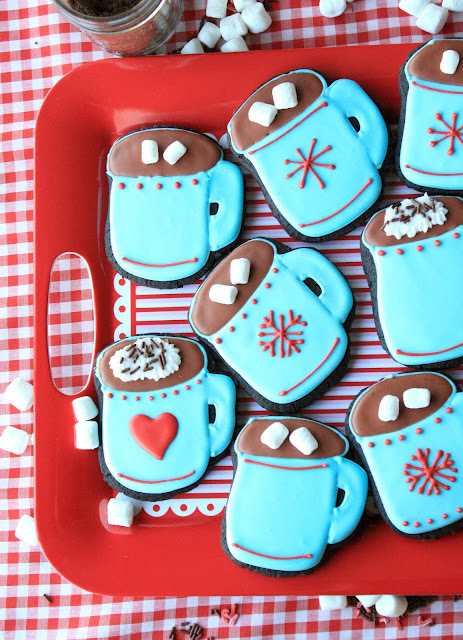 Chocolate Tea Bag Tags and we’re thinking we might just skip right over the tea to get to this treat! Aimee from Barns & Noodles showed us how to make the perfect Muffaletta Sandwich and we know our husbands are going to be begging us to make them this! 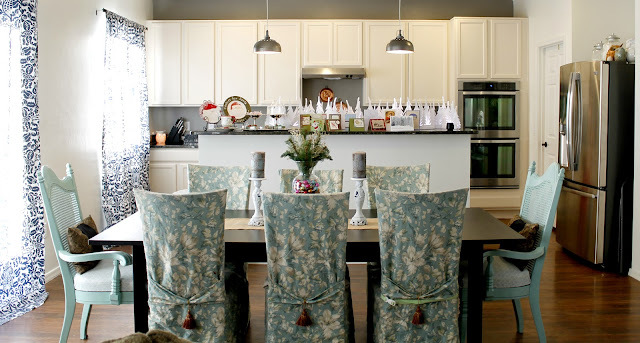 Lisa from Take 6 shared her beautiful Dining Room dressed up for Thanksgiving and including so many lovely details. 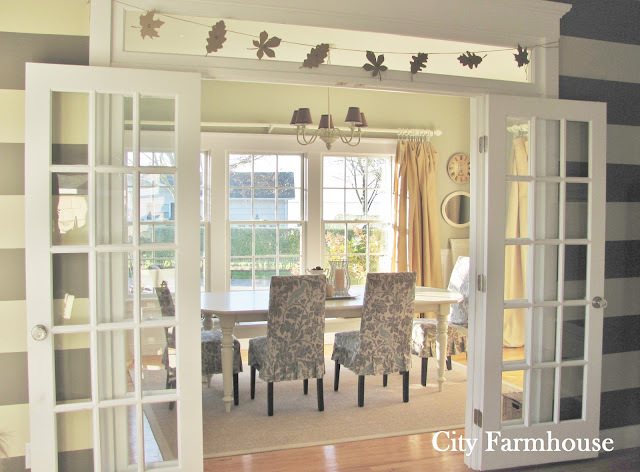 Lynn from UpCountry Olio showed off her gorgeous Fall Porch which is easy on the eyes and the budget! 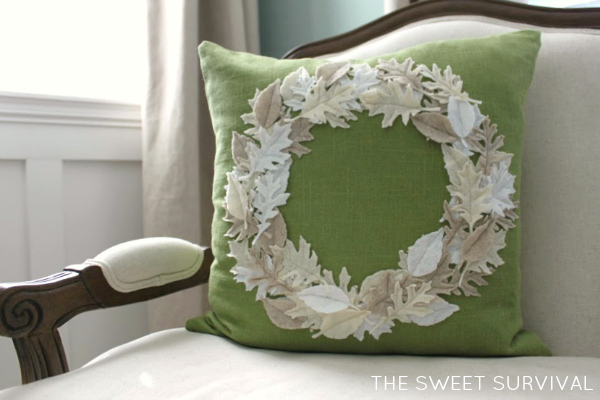 Trisha from The Sweet Survival showed us how to make this simply beautiful Harvest Circle Felt Leaf Pillow. Chelsea from Making Home Base showed us how to make this darling Pumpkin Applique Onesie…ummm…does the beyond adorable baby come with it Chelsea? She’s one cute punkin’! We think the “Wicked Witch of the West” would definitely approve of this fabulous Fall Stocking shared with us by Jourdan of Little Yellow Barn! 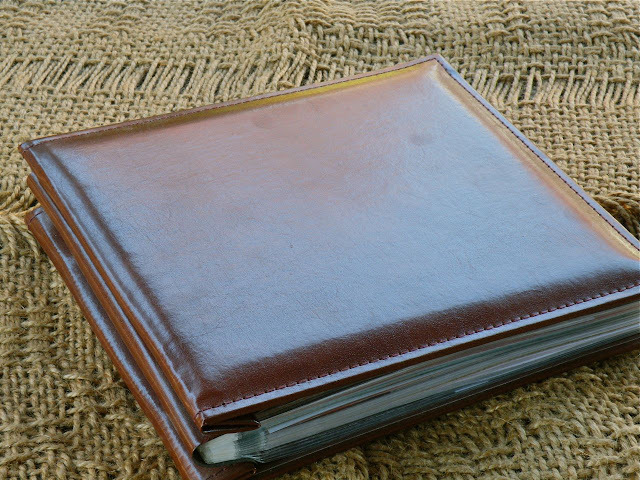 As part of her wonderful series, 31 Days of Creative Caring , Susan from My Place to Yours shared how she created this “Blessing Book” for her husband and reminded him of just how much she loves and cherishes him! Welcome to Inspiration Friday No. 87! We are so excited to be here with you this week! We appreciate you meeting us here every week for Inspiration Friday! 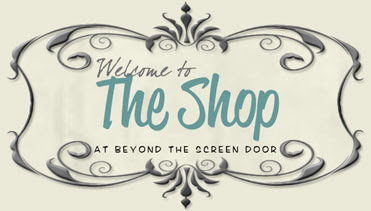 We have a few announcements…up first we want to announce the winner of the The Shop At Beyond The Screen Door Giveaway! Congratulations Shirley! Email us to claim the giveaway! and if you would like to purchase any of the lovely items offered at The Shop At Beyond The Screen Door you can use this code to receive 20% two or more items! 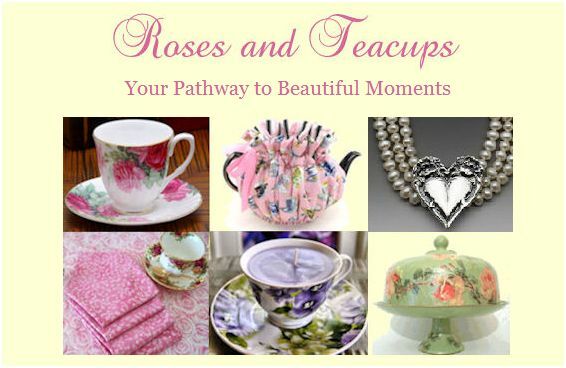 We also want to introduce you to a few new sponsors of At The Picket Fence! First we have M.A. 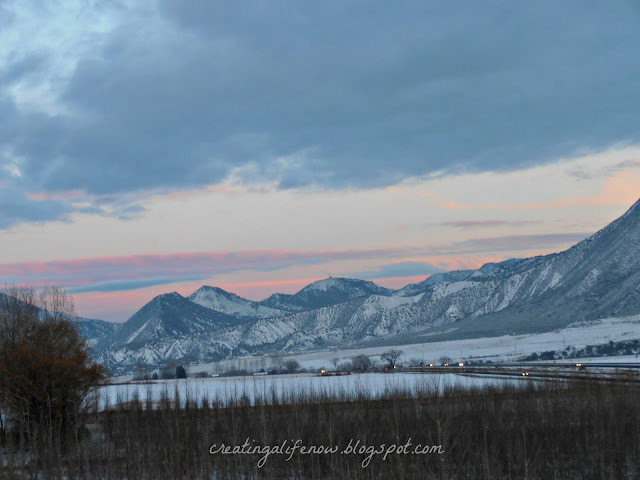 Hadley, home of gorgeous handcrafted American Pottery! and this darling popcorn bowl! We also want to welcome Naptime Review! We love partnering with fabulous blogs, and this one is no exception! Julie created her blog because she loves shopping and is passionate when she finds a product that she loves. She want to share it with everyone! She took her love for shopping and turned it into a way to help others. Join them every Saturday for this NEW series! Where each they are going to tackle the questions of motherhood. We appreciate your support of our sponsors, they help keep this little ‘ol blog chugging along! And up last a HUGE, BIG, IMPORTANT announcement for us gals! 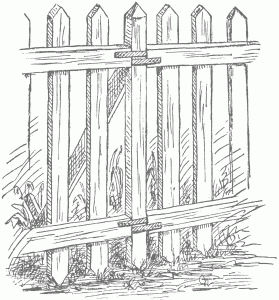 We are switching At The Picket Fence from using the Blogger platform to WordPress. What does this mean to you? Well a few things!One, if you follow us through Google Friends Connect that will no longer be available on the blog. Google doesn’t allow it to be used on non-Blogger blogs. So, we’d love you to still continue to follow along with us through email, RSS, adding us to your blogroll or just continuing to pop in here at the blog and see us everyday…in other words, don’t forget about us! Two, if we are so fortunate to be in your Blogroll, it will need to be updated after we switch. Soooo, if you see us disappear from your blogroll we would be so honored to be added back in after Monday! That’s about it. The upside is we’ll have so many more amazing ways to style and design our blog to better serve us and more importantly you, are readers! Now let’s take a peek at our fabulous features from last week! She says it’s a work in progress, we say it look positively divine! 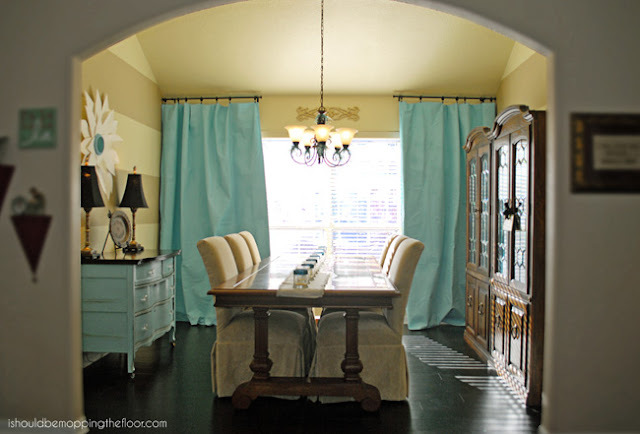 We love the clean lines and simple sophistication of this dining room makeover from Andrea of Life.Love.Larson! 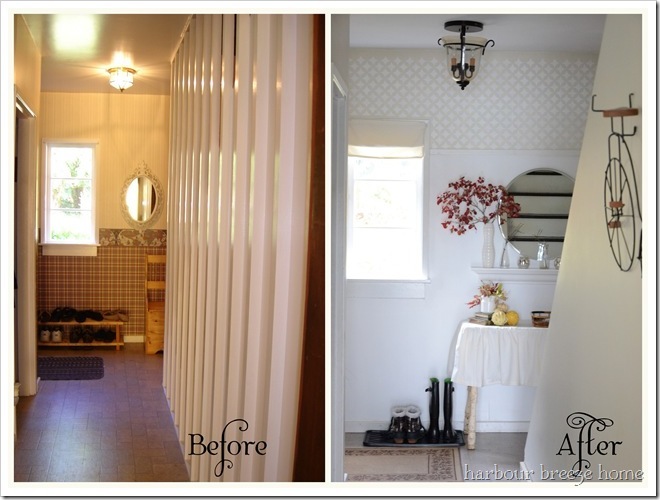 Leen the Graphics Queen is up to some amazing stuff in her Sea glass Inspired Bathroom makeover! 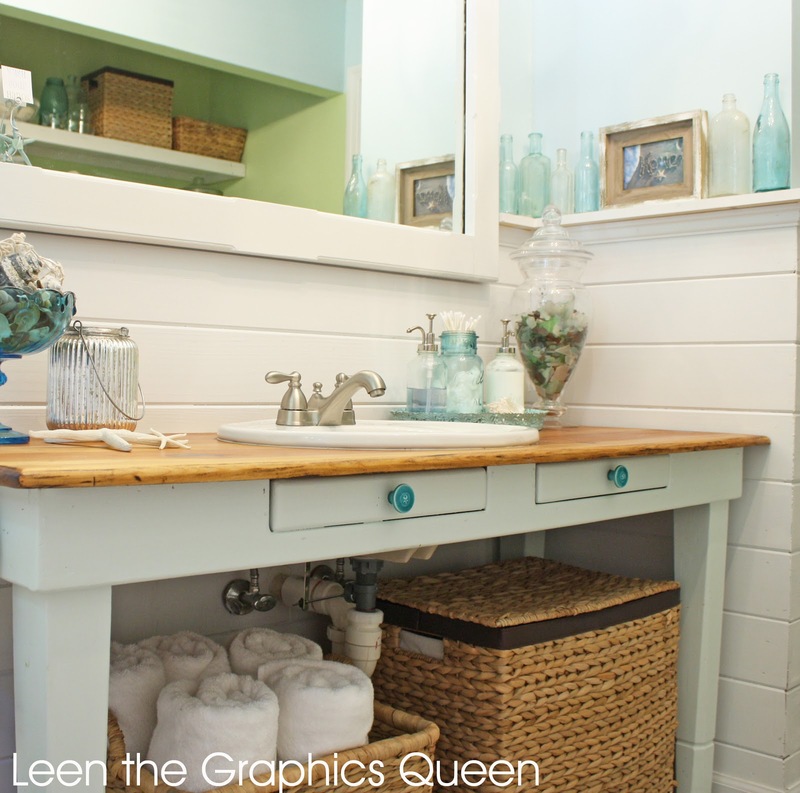 We adore the table vanity and all of the pops of sea glass blue and green! A soothing beach bathroom retreat! 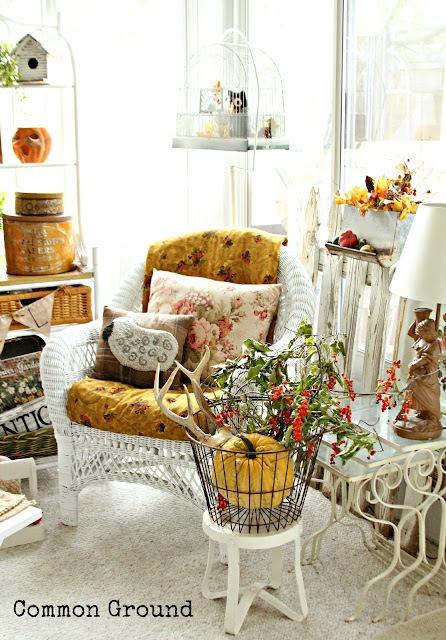 Our friend Debra of Common Groundnever fails to impress with her gorgeous rooms, and she goes all out for Fall! Her sun porch is worthy of a magazine! 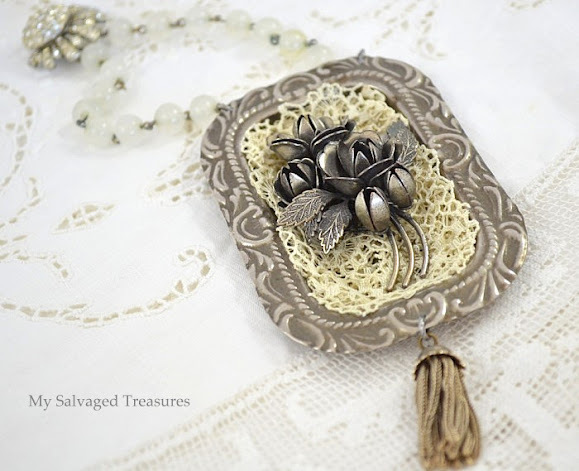 Betsy of My Salvaged Treasures shared how she created a new look for old trinkets! 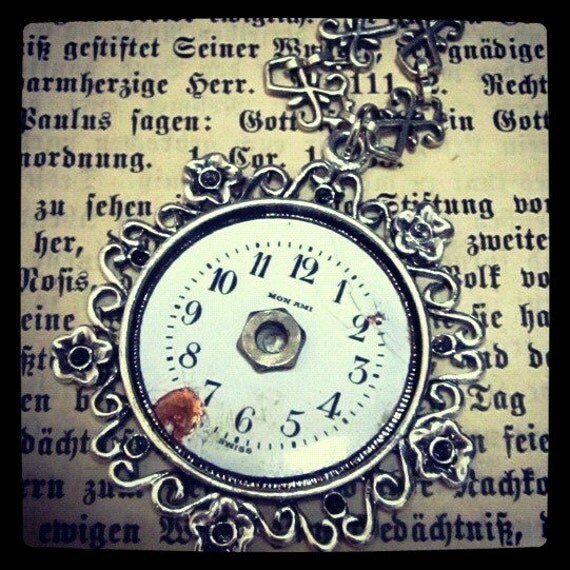 This beautiful piece was created with vintage jewelry! We love seeing a great new use for pallets and Old World Garden Farms has come up with an amazing one! 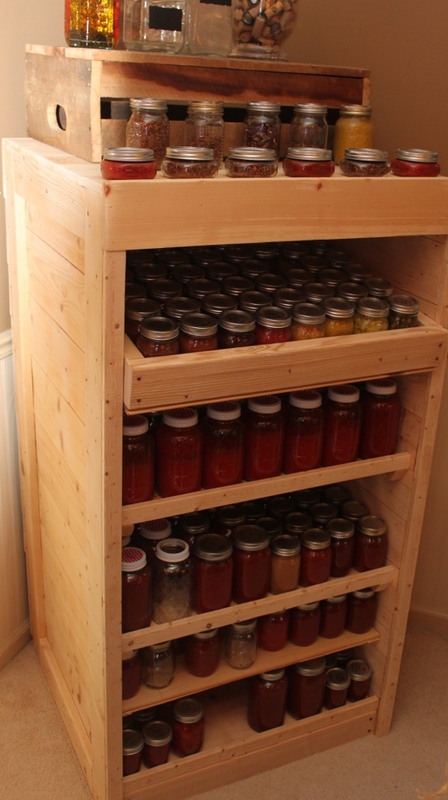 They created this Canning Pantry Cupboard for a lovely and useful place to store their canned goods! Can you tell what this beautiful fireplace screen used to be? It was a footboard that’s been completely transformed by Jean of The Backyard Bungalow! We love the stencil and aging, truly a one of a kind piece. Sarah of Alderberry Hill shared a post full of all things Apples with us last week. Included were instruction on these darling Orchard Wine Glass Charms! 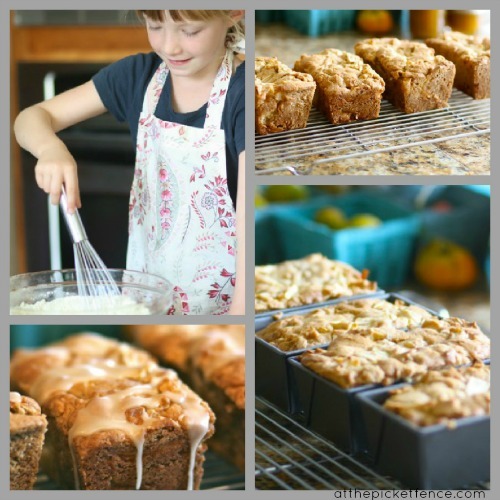 She even through in a delicious spiced apple cider muffin recipe. 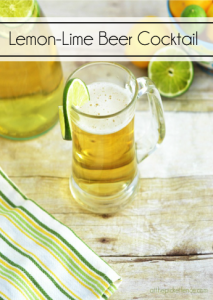 Head over to get the instructions and the recipe! 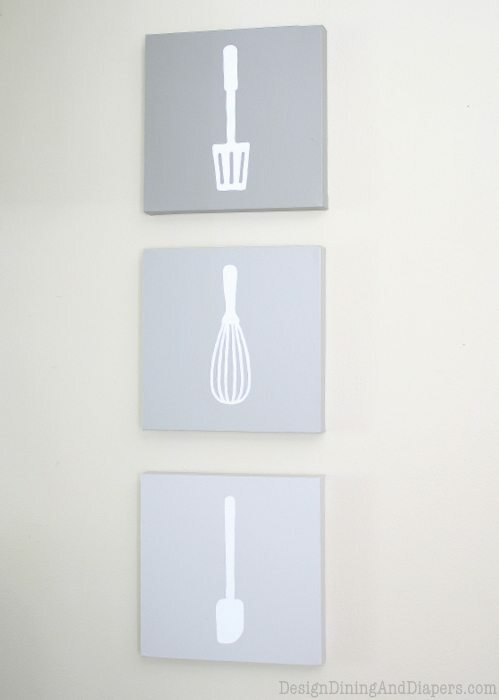 Taryn of Design, Dining and Diapers showed us how she took ombre up the wall with her Ombre Kitchen Wall Art Tutorial! …and we couldn’t end the crafts and creations category without including this darling and BRAVE 😉 little gal! Is she seriously not the cutest thing ever! 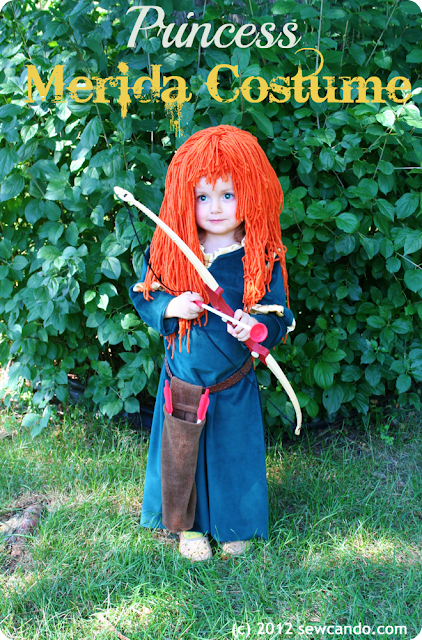 ?Cheryl of Sew Can Do created this Princess Merida Costume for her little lass, and we think she is most definitely a little princess! We’ve decided pouring over all of the amazing recipes here at Inspiration Friday is not good to do on an empty stomach…we want one of everything! How CUTE are these Halloween Oreo Brownies from Mary of Home is Where the Boat Is! Do you think if we go trick or treating at the boat, she’d put on of these in our treat bags? We love seeing unique recipes that are also beautiful! 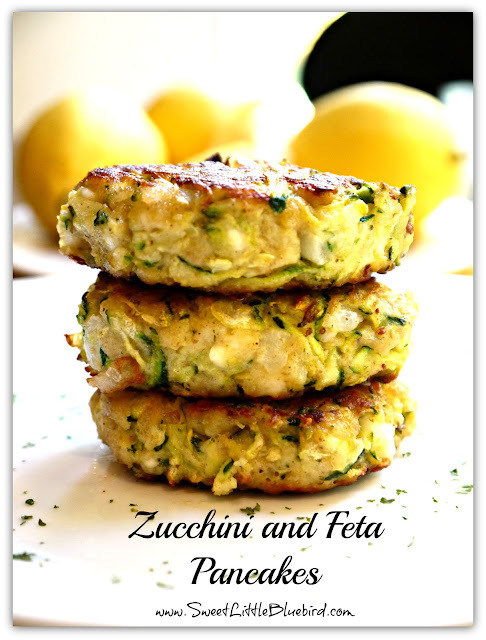 These Zucchini and Feta Pancakes from Mary of Sweet Little Bluebird fit the bill on both ends! 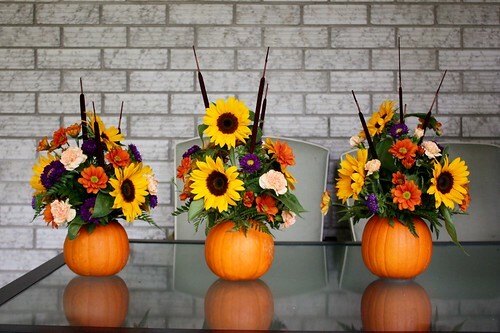 Amanda of Small Home Big Start shares how to make these gorgeous Thanksgiving Pumpkin Flower Arrangements with step by step instructions so you can make your own and impress your Thanksgiving dinner guests! 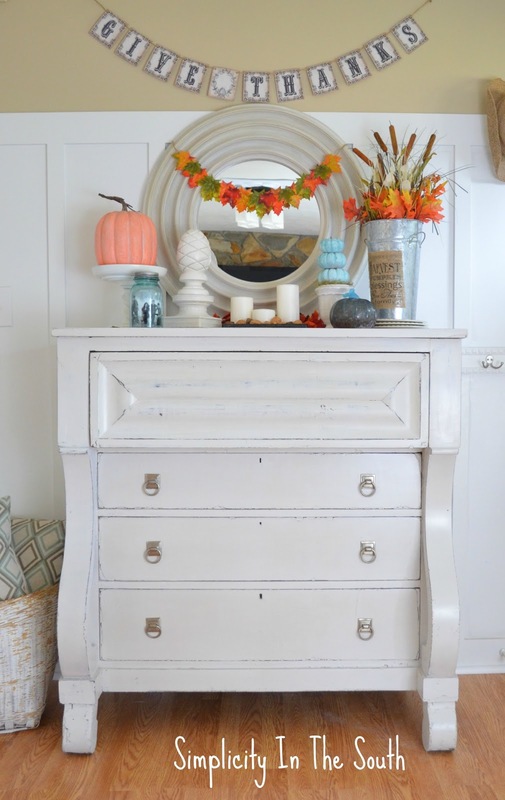 Sherry of The Charm of Home showed us chalk paint isn’t just for furniture with her Chalk Paint Pumpkins! Art truly is Beauty! And Karin of Art is Beauty proves that with this gorgeous Autumn “self portrait” oil painting she created! 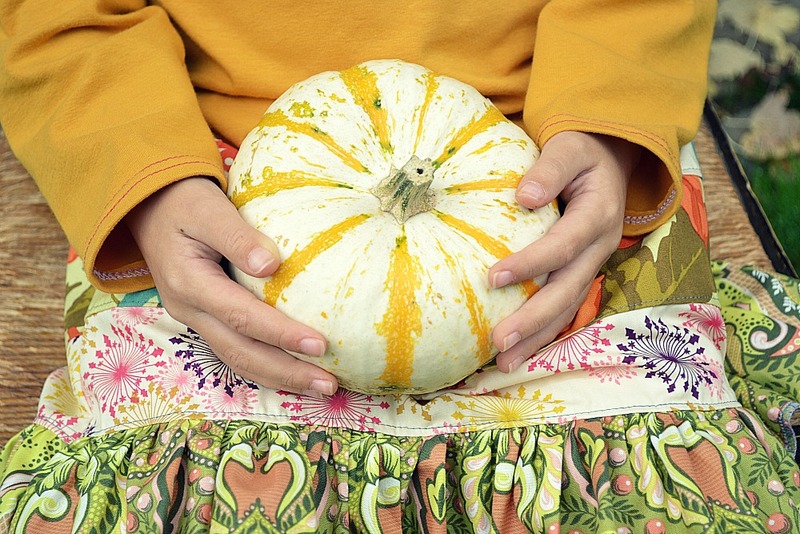 We enjoyed taking this Rustic Autumn Home Tour with Angela of Number Fifty Three. The pops of red in this rustic turquoise box is just a taste of this gorgeous home decked out for fall! 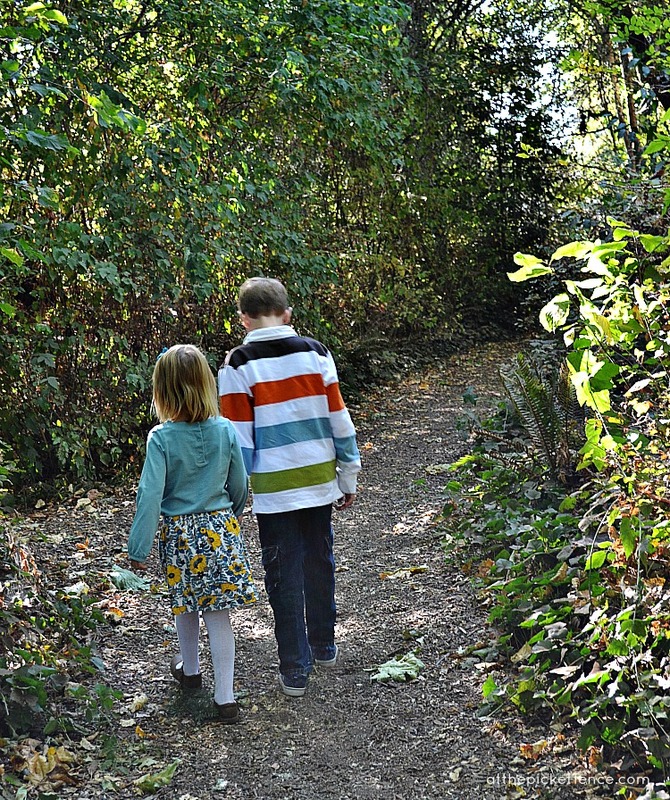 We all know as moms we can find ourselves drowning in the “little things” Heather of The Not So Super Mama shares how she found hope again! And we leave you with this lovely post from Becky of From Generation to Generation. 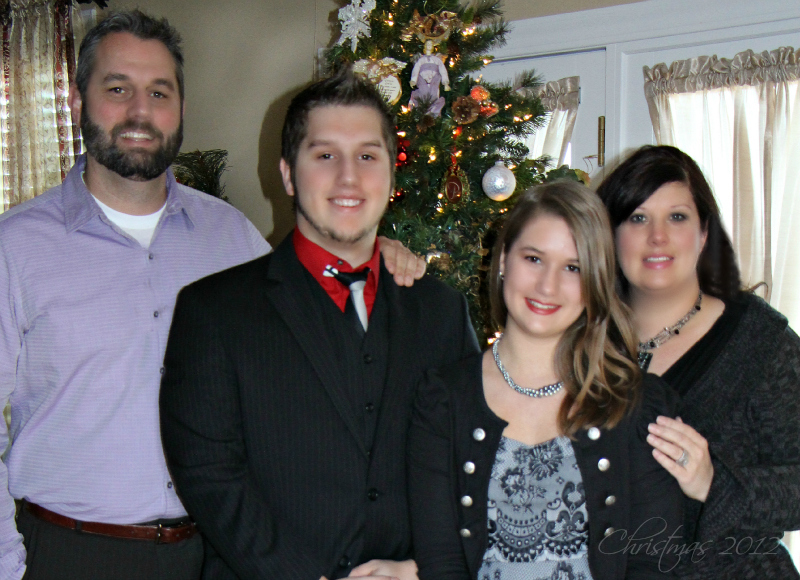 About family, harvests and blessings! get 25% off using coupon code: PUMPKINSPICE at checkout! One more quick announcement…we have a fun Thanksgiving Linky Party going on all month that we are co-hosting with some fabulous gals! 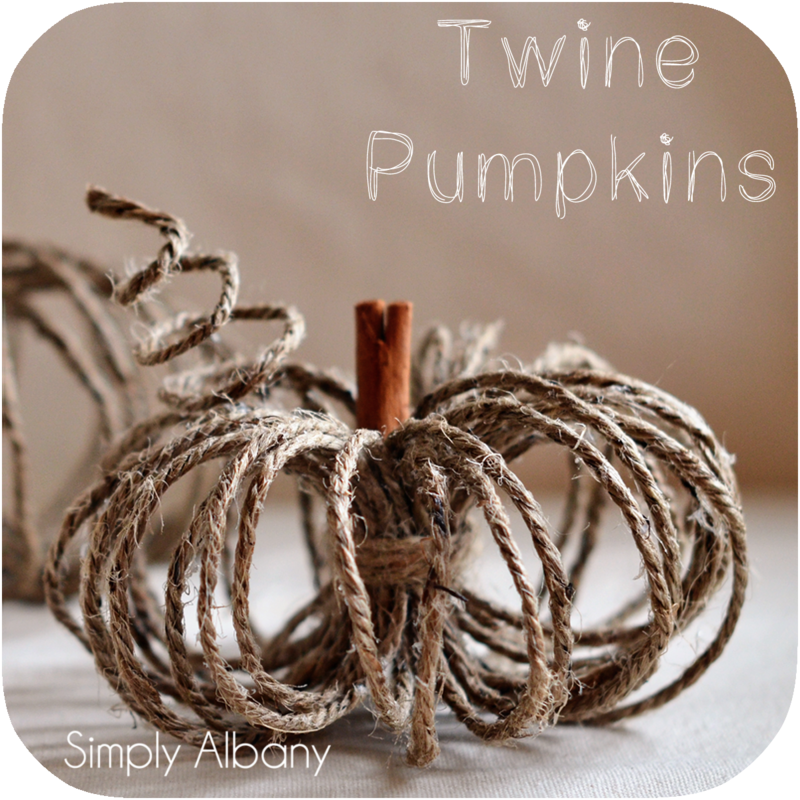 Feel free to share your Fall/Thanksgiving projects, recipes, crafts and stories all month long, we’ll be featuring our favorites! It’s Inspiration Friday No. 86! Welcome! Are you ready to party with us? Thank you all so much for understanding why Inspiration Friday had to take a little break last week! 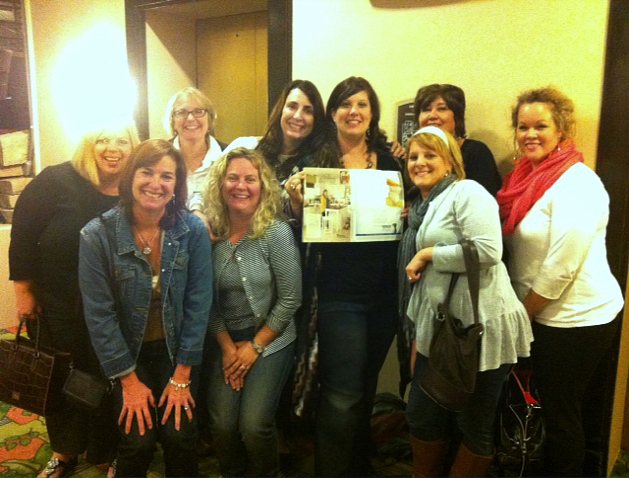 Things were kinda crazy around the Fence last weekend with Heather speaking at the Southern Bloggers Conference and also getting her hands on the November issue of Better Homes & Gardens with the feature of her kitchen makeover! 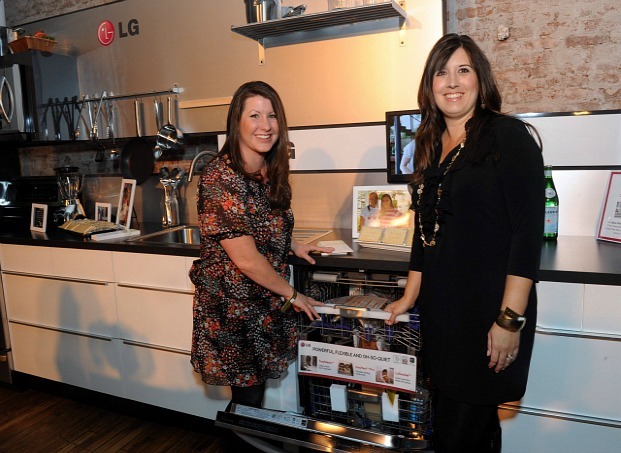 and Vanessa partnering with LG at the Wine and Food Festival in NYC. Here she is with winning reader Mia White at the “Sweet” Godiva event sponsored by LG and featuring Sandra Lee from the Food Network! Be sure to come back Monday when Vanessa will share more of her amazing experiences in the Big Apple! But, we are so happy to be back here with all of you and can’t wait to see what you’ve been up to in the past 2 weeks. Have you entered to win our latest GIVEAWAY?? You could win a $50 credit to The Shop At Beyond the Screen Door! Let’s check out our Inspiration Friday Features now, shall we? 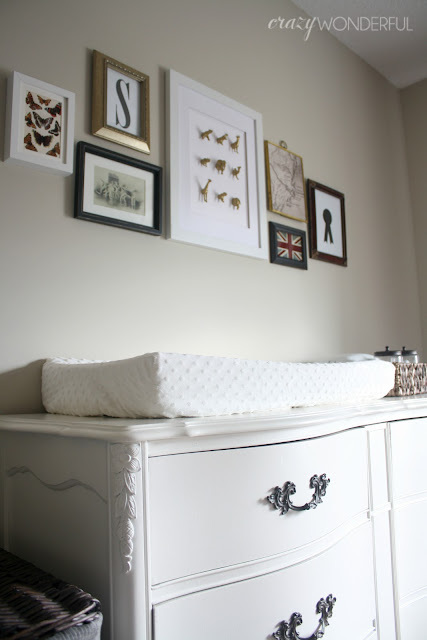 Jennifer from Dimples and Tangles transformed her daughter’s room from “little girl sweet” to “sophisticated and chic”. Check out those awesome lamps! Jeri from Decorating Hemlock gave her dining room a beautiful makeover and we absolutely love how she stacked this shelving unit over a dresser to create a one-of-a-kind display area. Joanne from Double Wide in the Sky will always feel like she is in a luxury hotel when she is in her gorgeous new bedroom! Kathryn from The Dedicated House gave her banister a fresh new look by staining the railing. You have to see the before to appreciate this fantastic after! 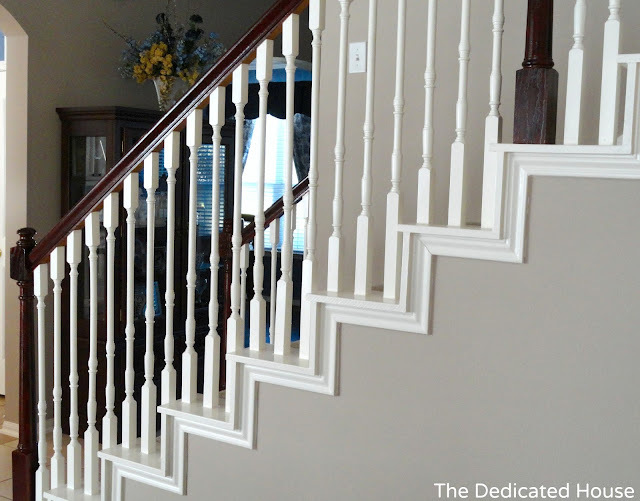 Another staircase makeover came to us from Diedre of Simply Sophisticated. Charm and character was the name of the game here and we think she achieved both! 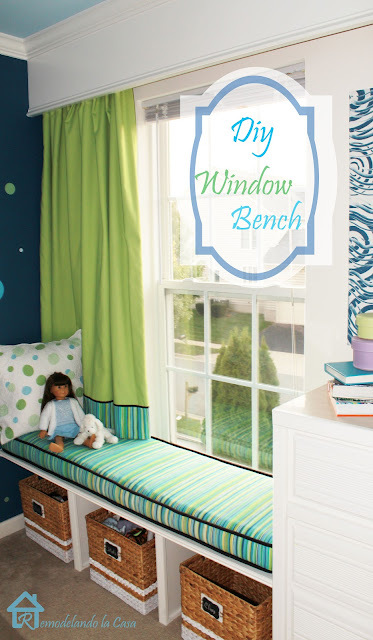 Cristina from Remodelando la Casa showed us how to make this fantastic DIY Window Bench perfect for reading or just daydreaming. Brings out the little girl in all of us, doesn’t it? Kate from Salvage Dior proved that elegance doesn’t have to mean expensive when she transformed Dollar Tree trays into works of art! 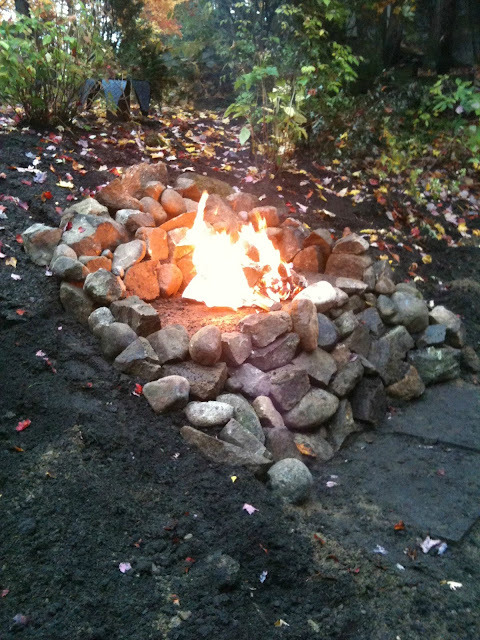 An Anglo in Quebec showed us how she built this amazing Fire Pit into the hillside of her backyard! We can imagine many a evening gathered around it’s warmth. 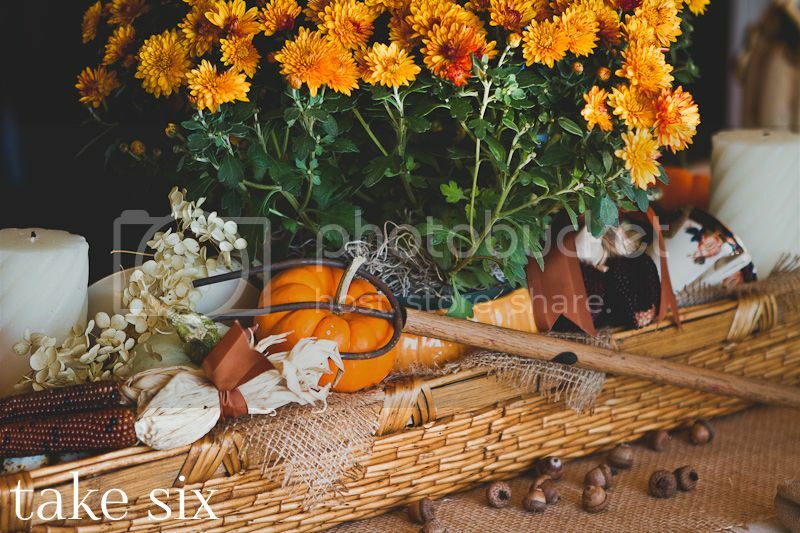 Sylvia from Sylvia’s Simple Life makes her family’s traditional Autumn Picnic look like the cover of a L.L. Bean catalog and this is only a glimpse of how amazing it is! 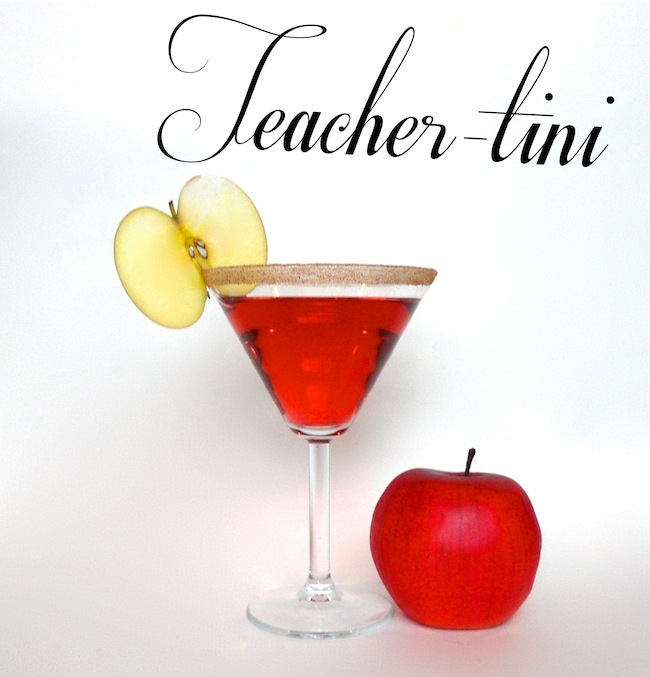 Kelly from Smart School House shared with us the recipe for this “Teacher-tini” and we think it definitely earns an A+! 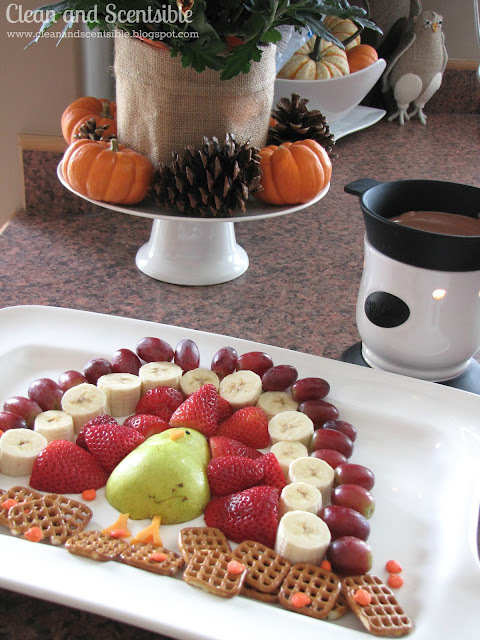 How adorable is this Chocolate Fondue Turkey Platter created by Jenn from Clean and Scentsible?!! 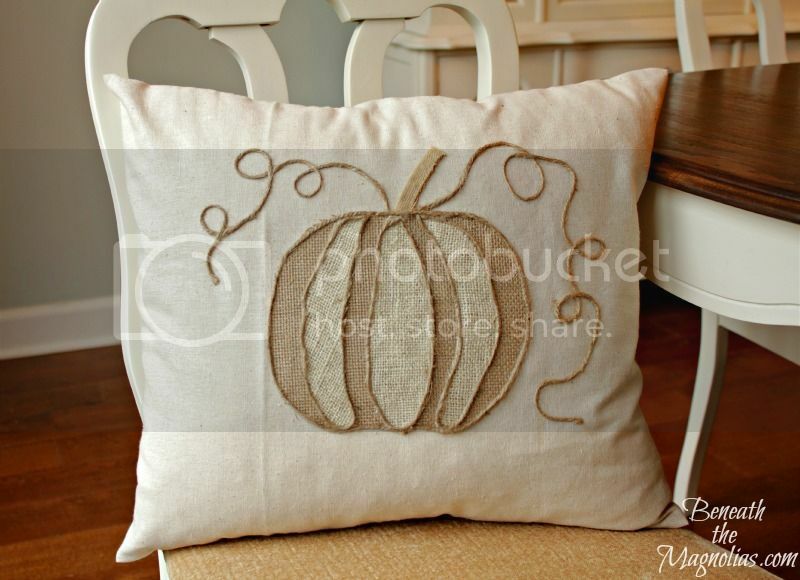 Angie from Beneath the Magnolias shared with us the tutorial for making this gorgeous “No Sew Pumpkin Applique Pillow” and we think she gave Pottery Barn a run for their money! 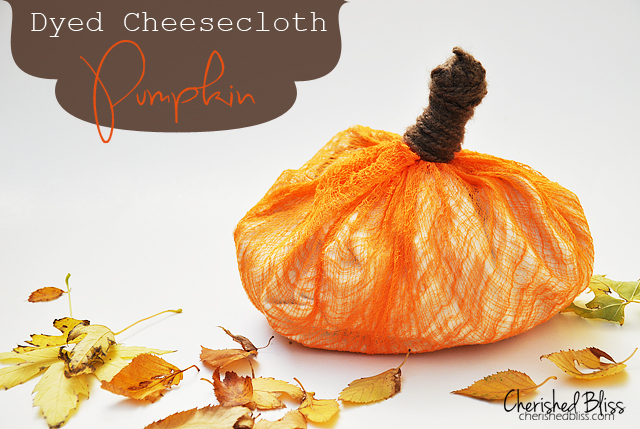 Ashley from Cherished Bliss showed us how she made this darling Cheesecloth Pumpkin and we just love how unique and rustic it looks! 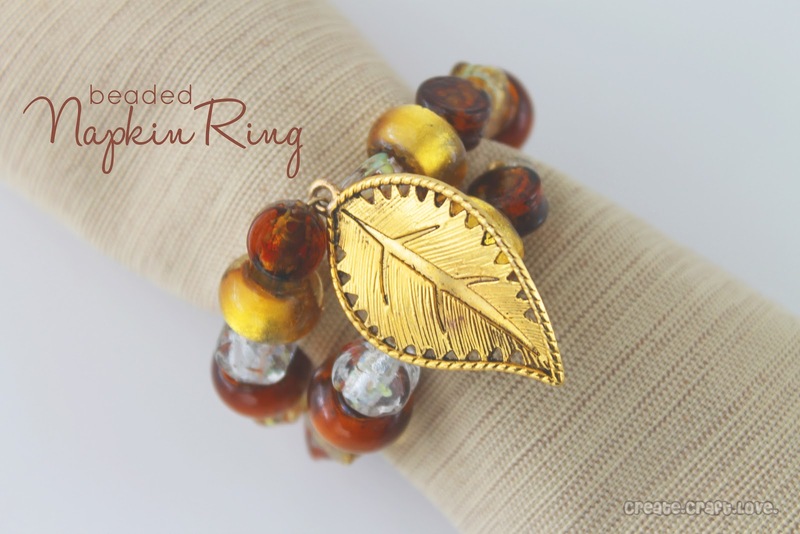 Allison from The Golden Sycamore showed off her Fall “Fantel” and it is so fresh and lovely! 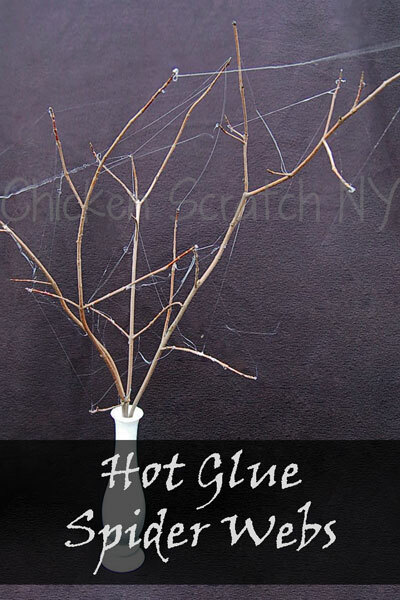 Alecia from Chicken Scratch showed us how she made these Hot Glue Spider Webs and we think this is seriously clever and creative! 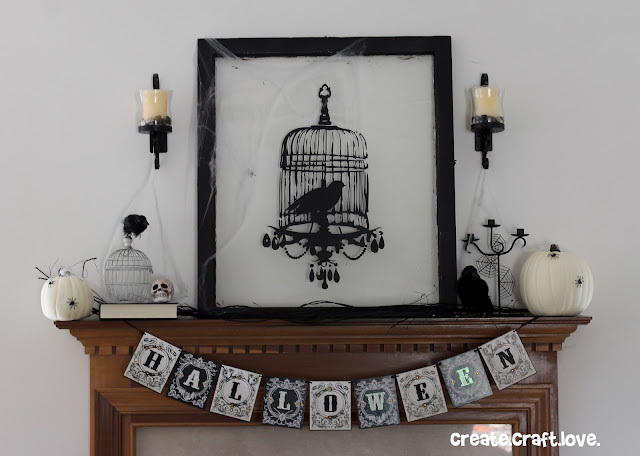 Jill from Create.Craft.Love gave an antique window a spooky face lift with the help of the Raven in a Birdcage graphic. Our friend Kerry from House TalkN is putting her big girl pants on and taking care of her health, motivated by the fact that October is Breast Cancer Awareness Month. And, this is the face she makes when she thinks about having to go get a mammogram! Kathie from Krafty Kat shared with us what happened when stress got the better of her and 5 Ways she could have avoided it!